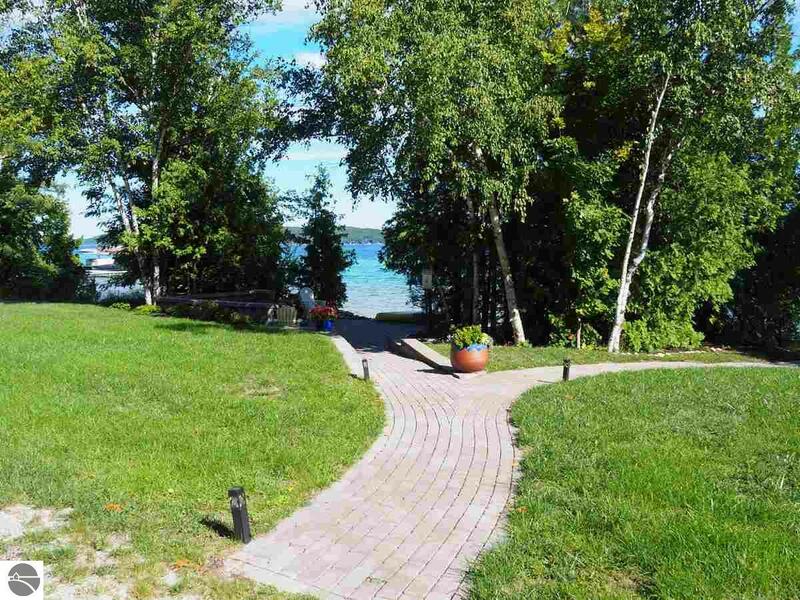 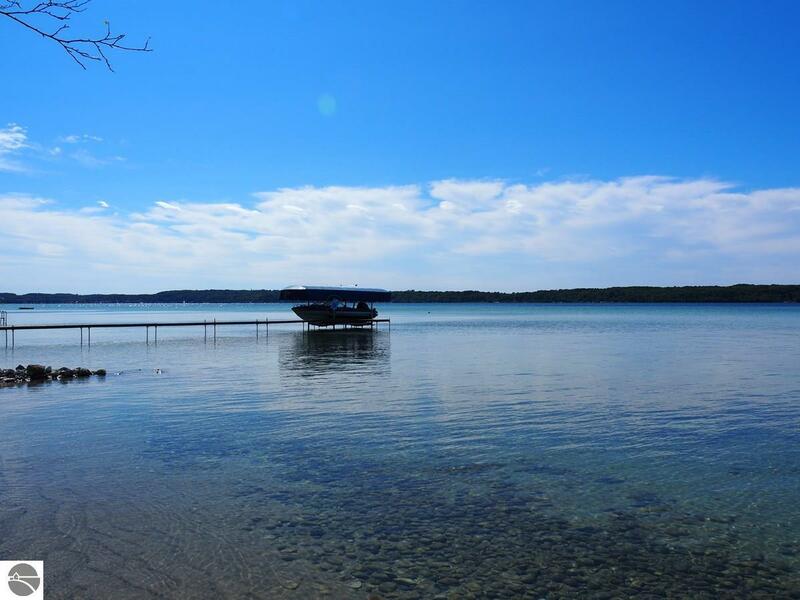 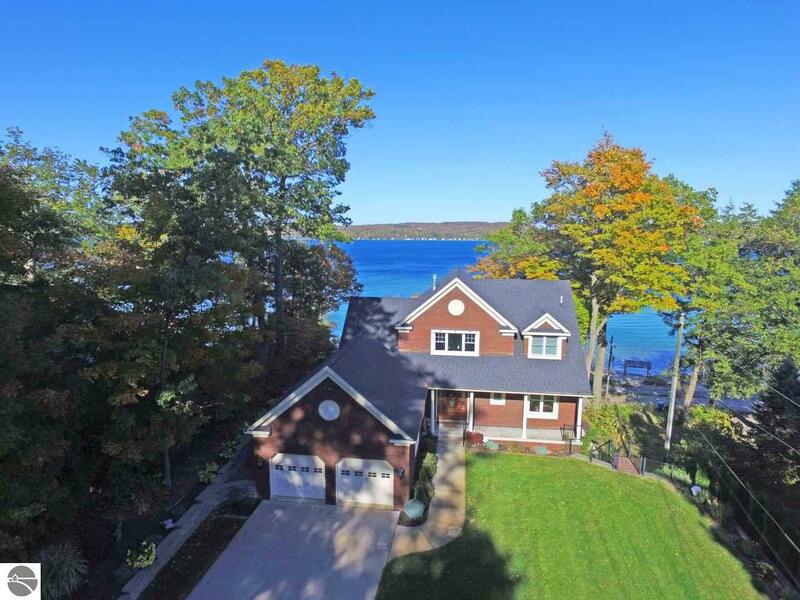 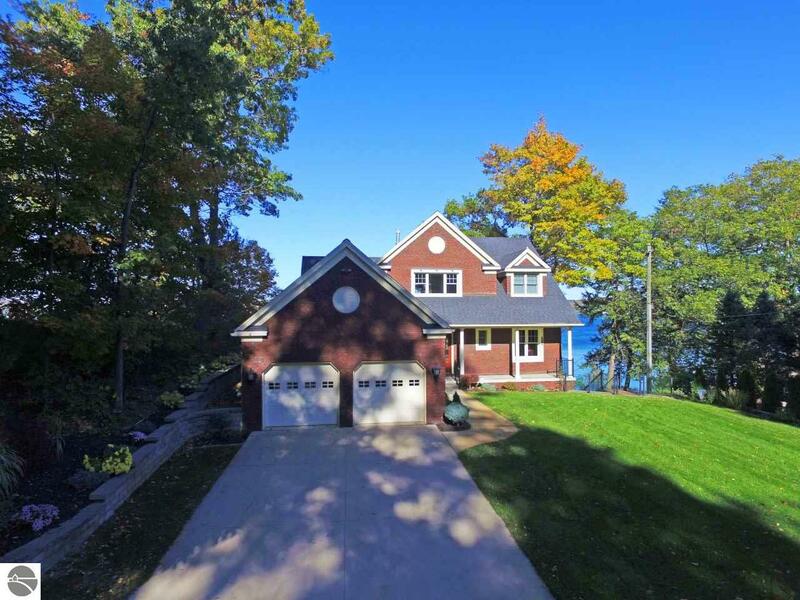 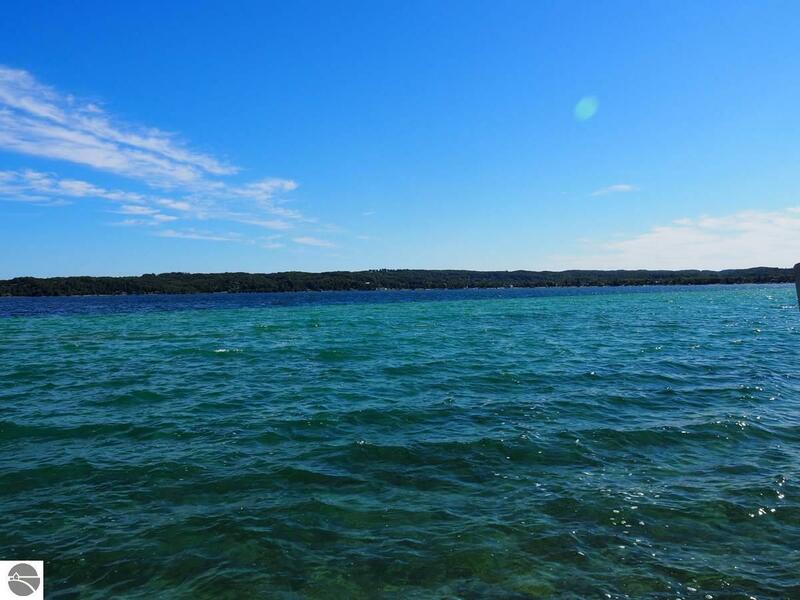 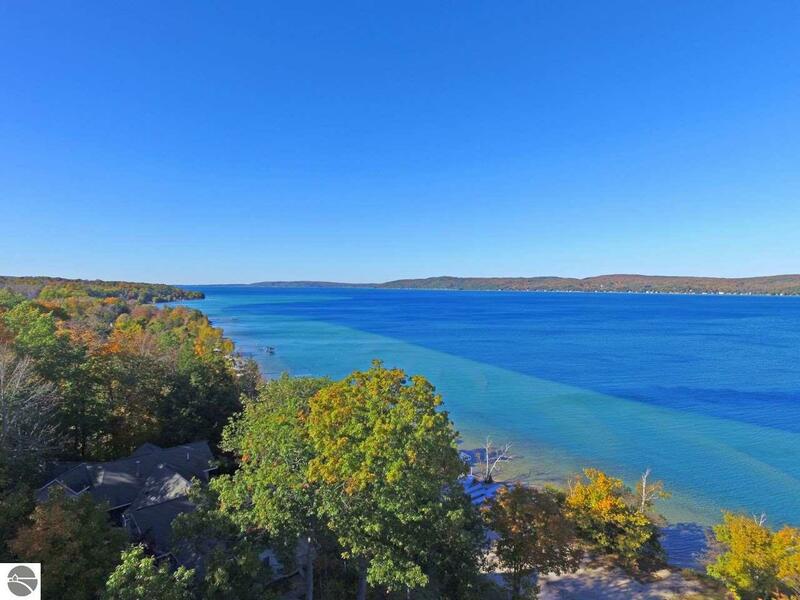 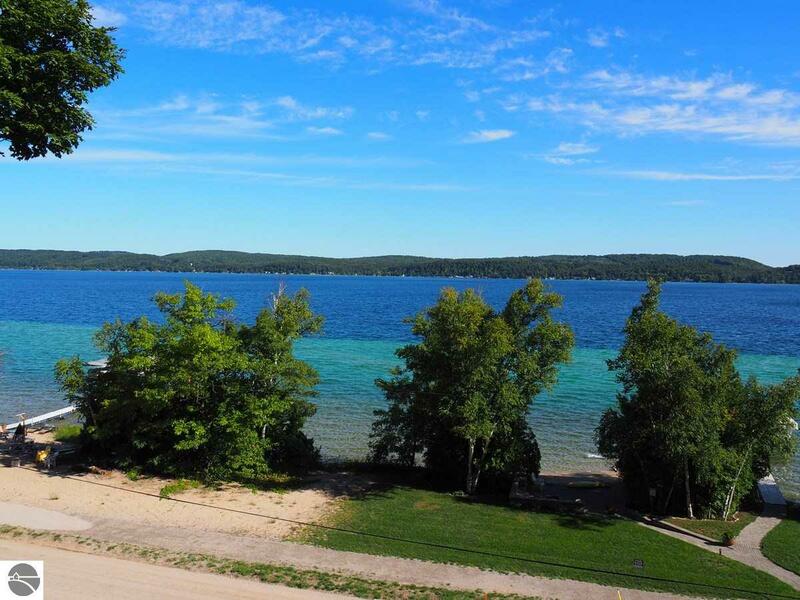 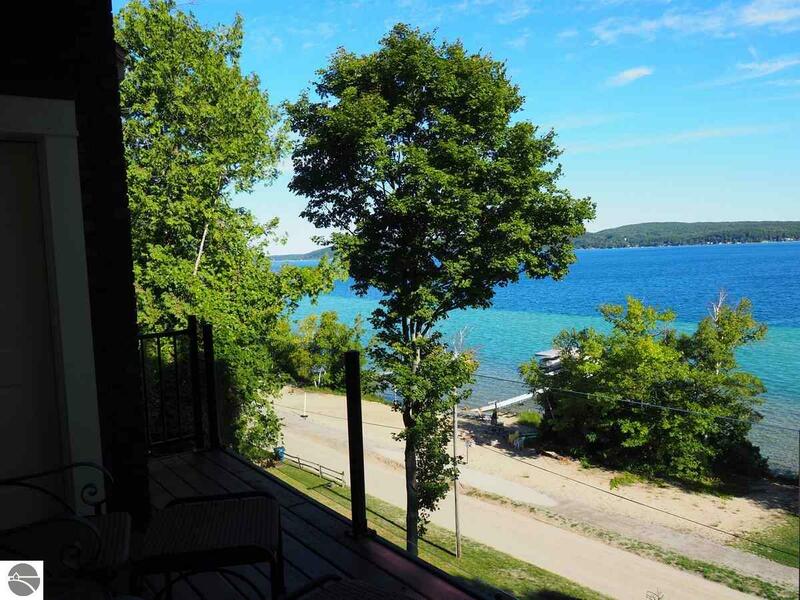 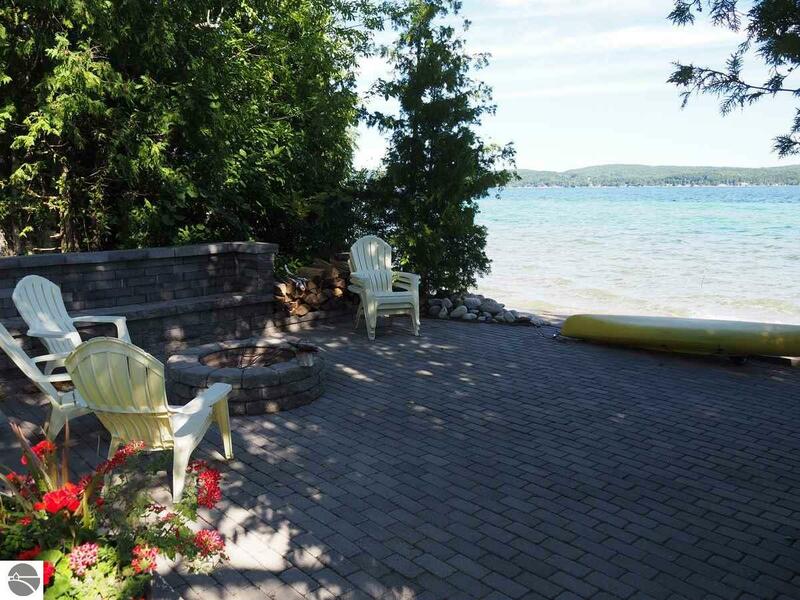 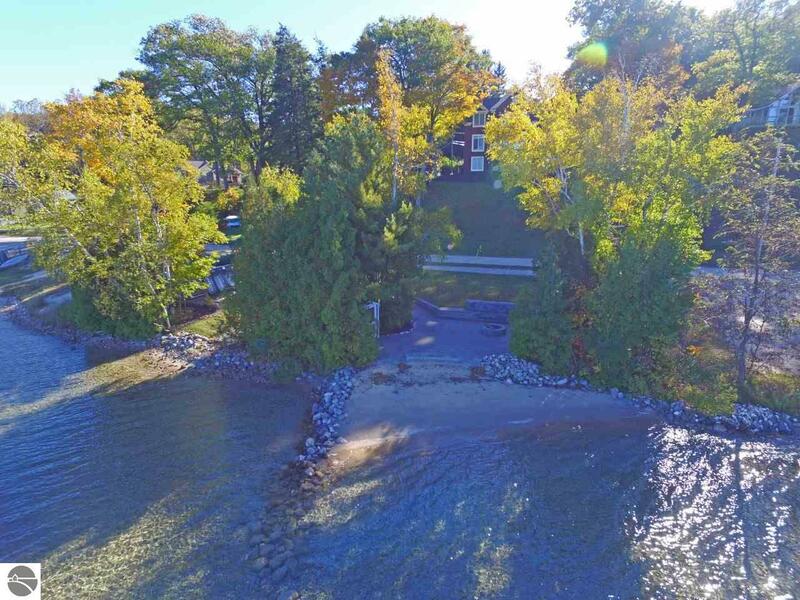 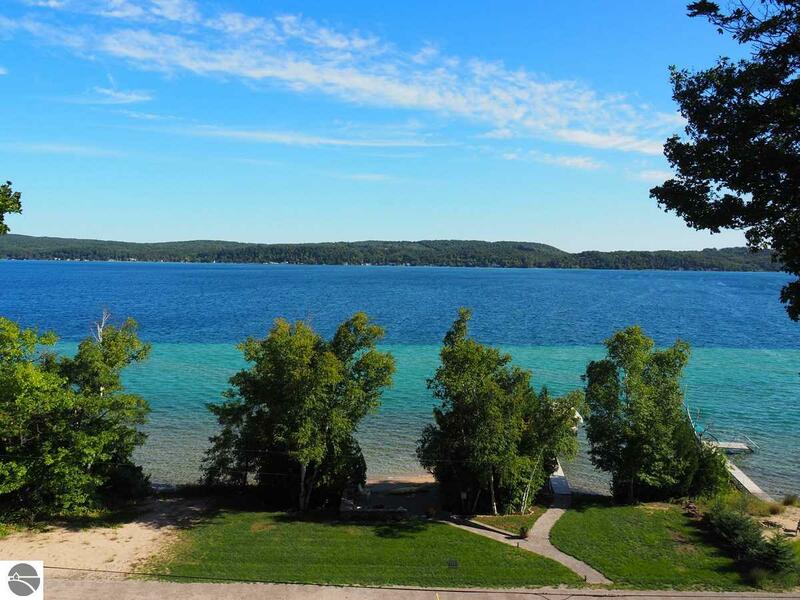 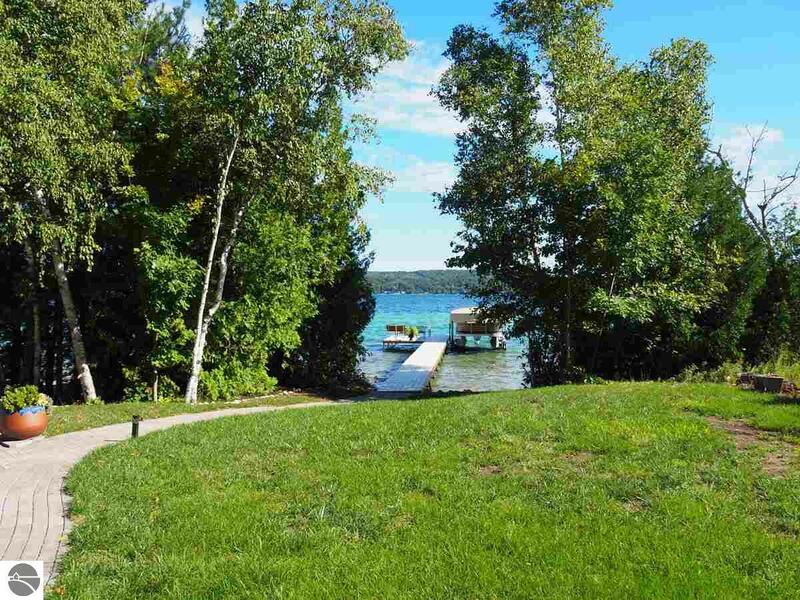 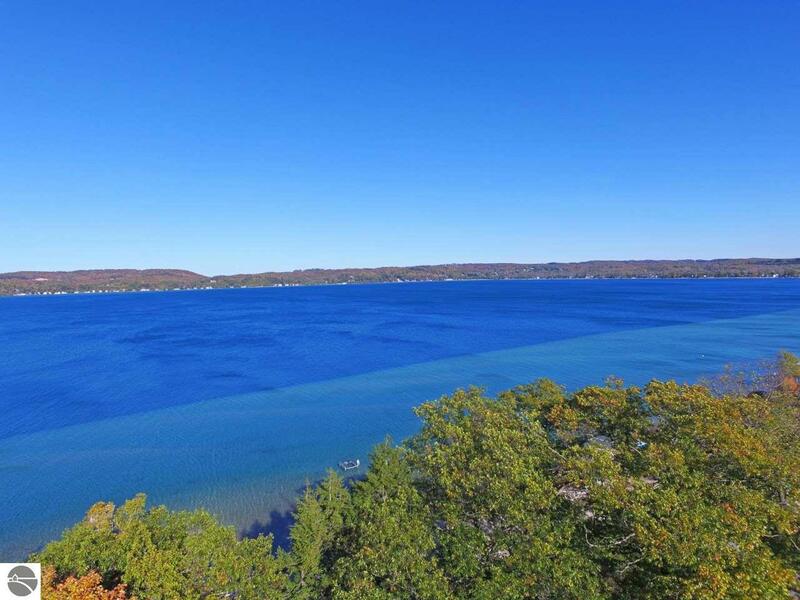 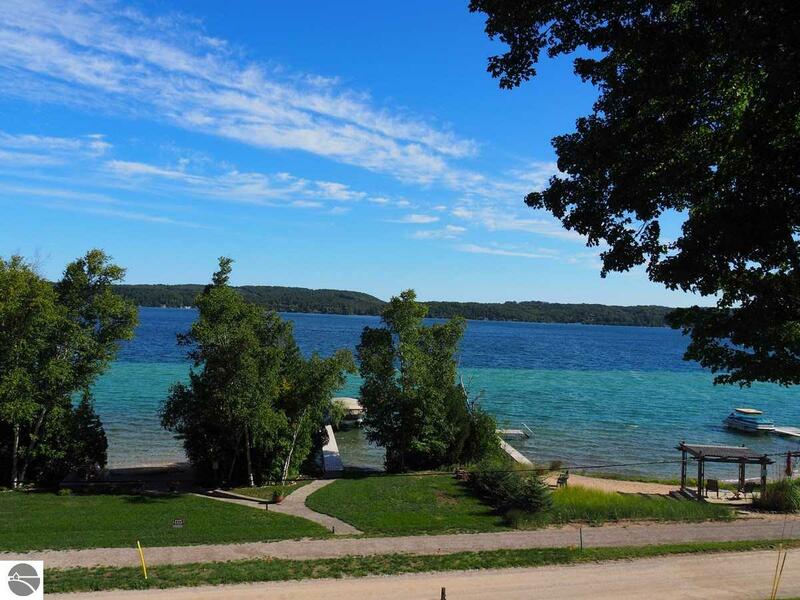 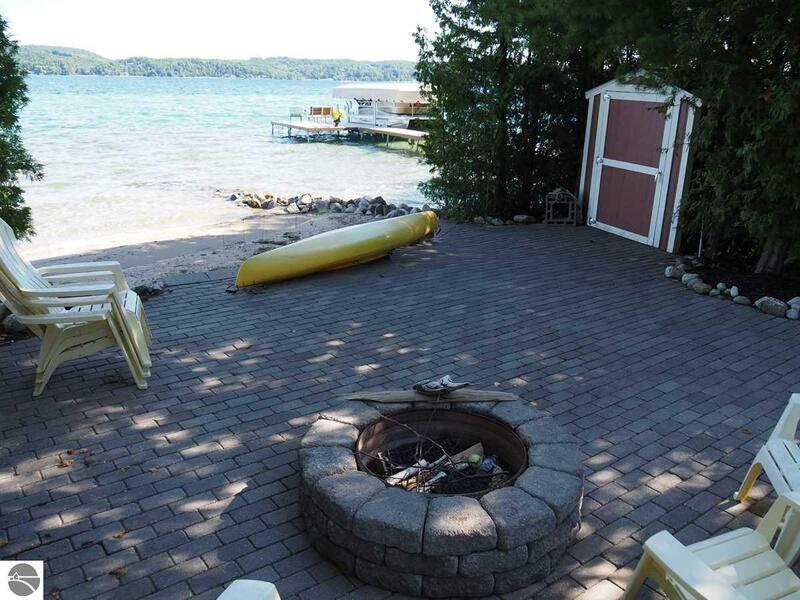 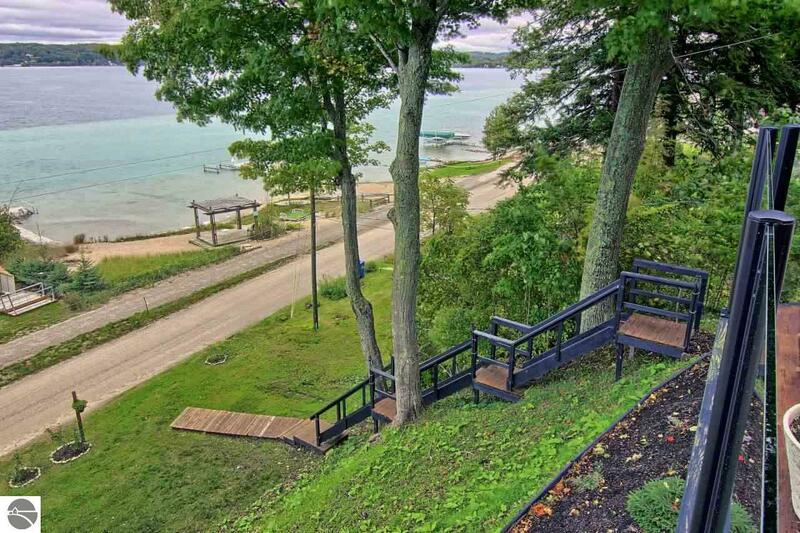 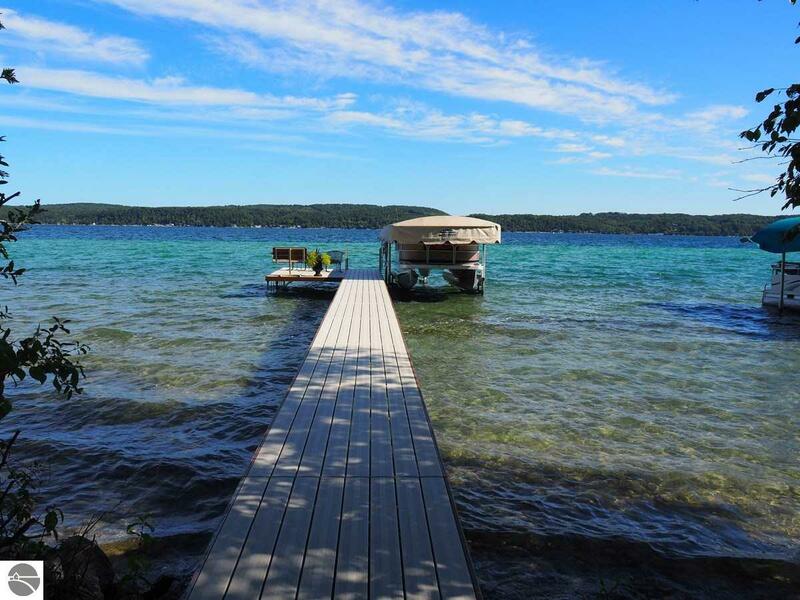 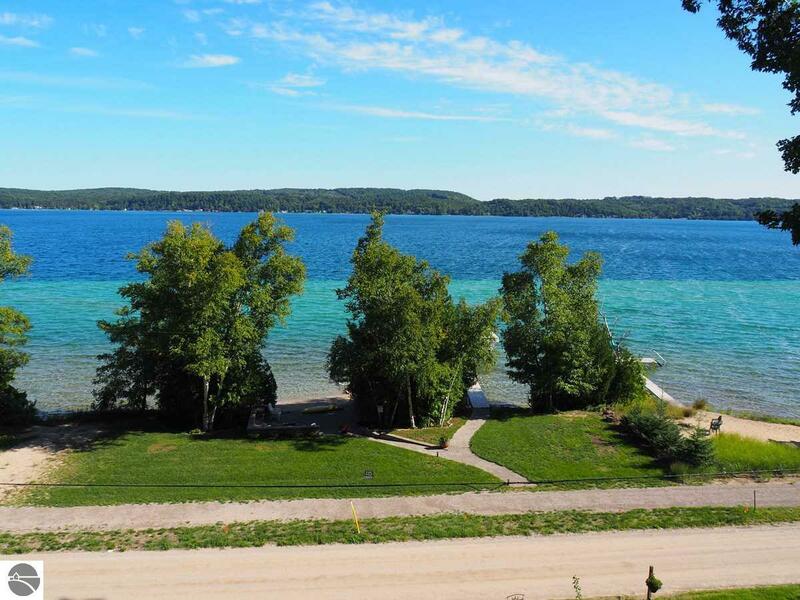 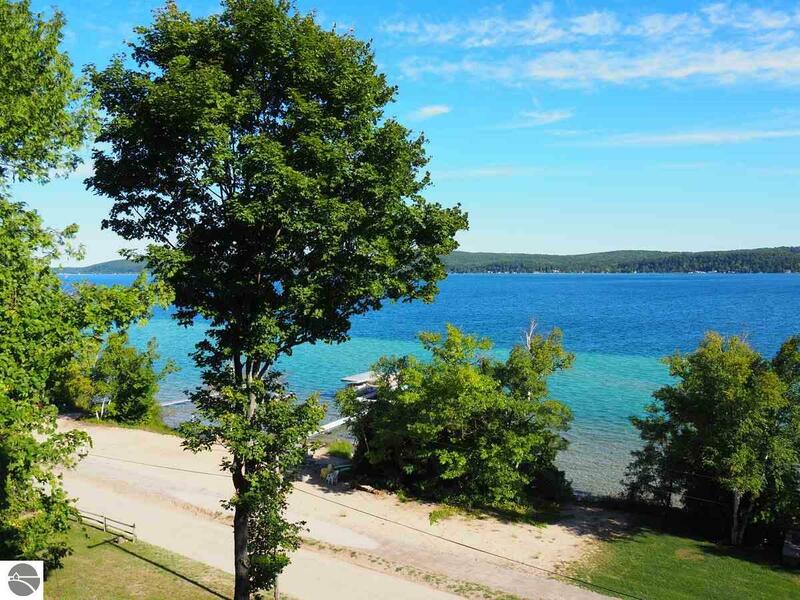 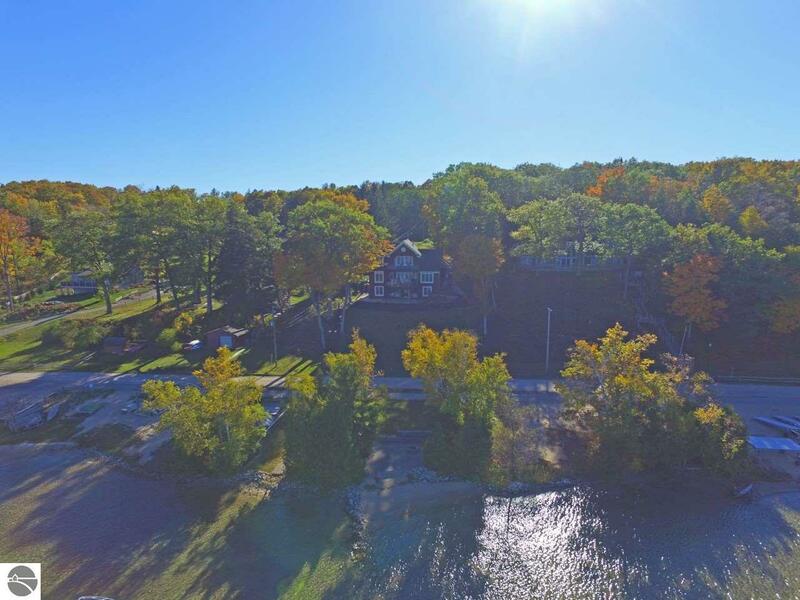 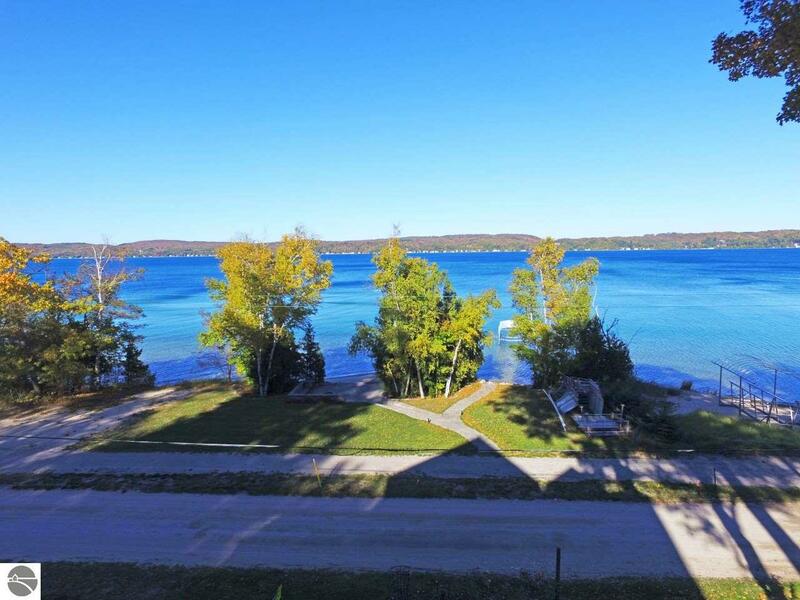 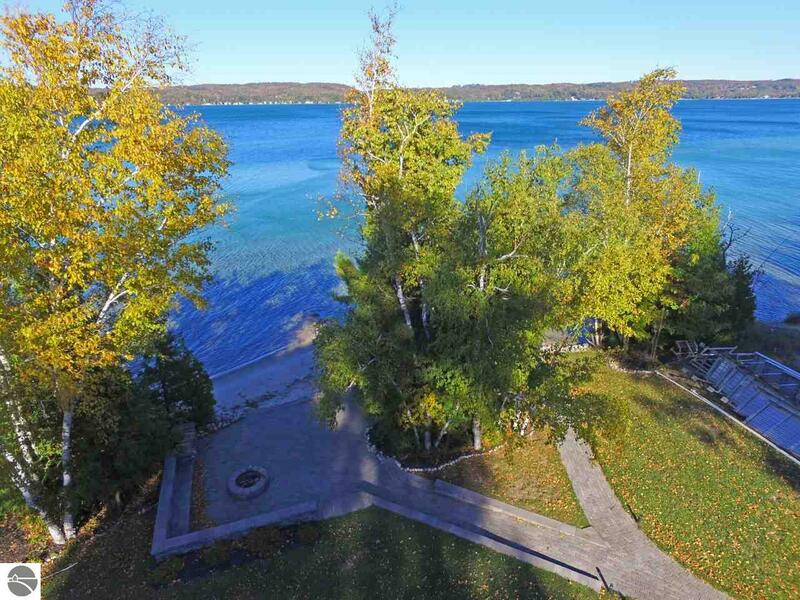 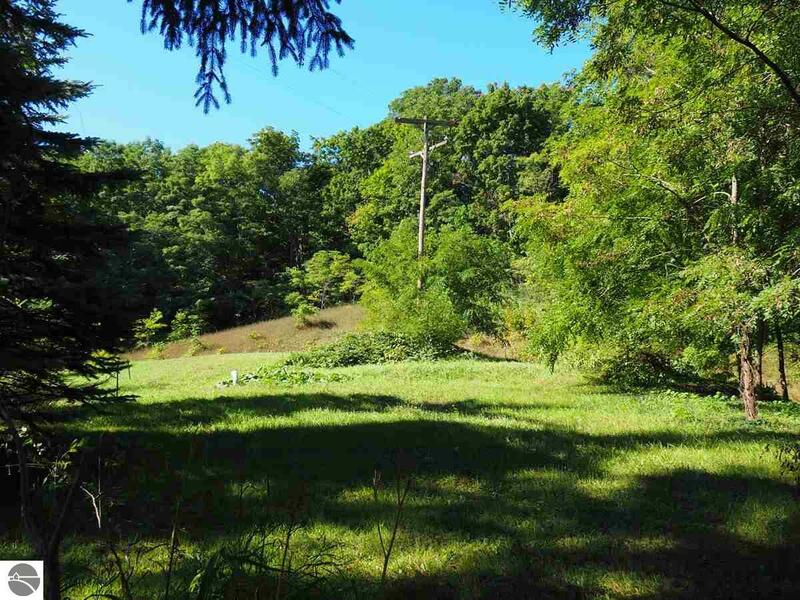 Crystal Lake waterfront home and garage on almost an acre, with 100 ft. spectacular and sandy-beach private lakefront, plus an extra lot for an outbuilding or guest house. 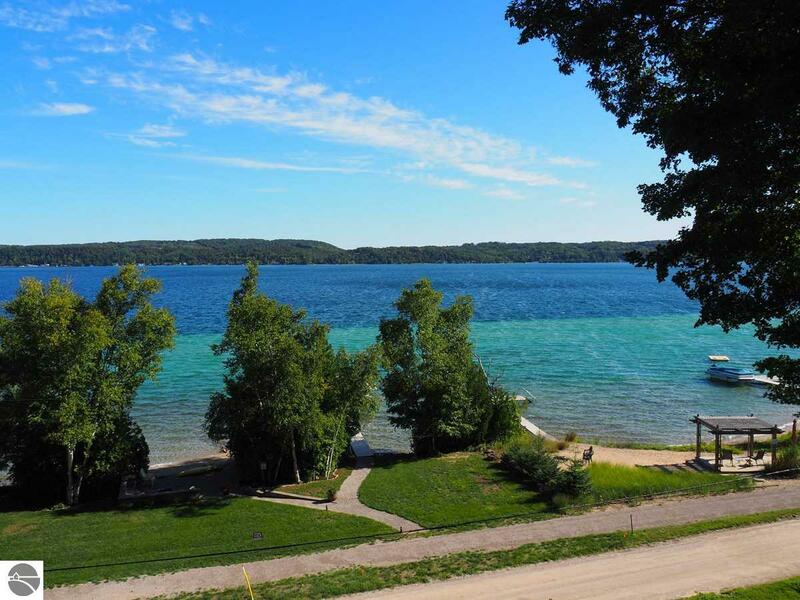 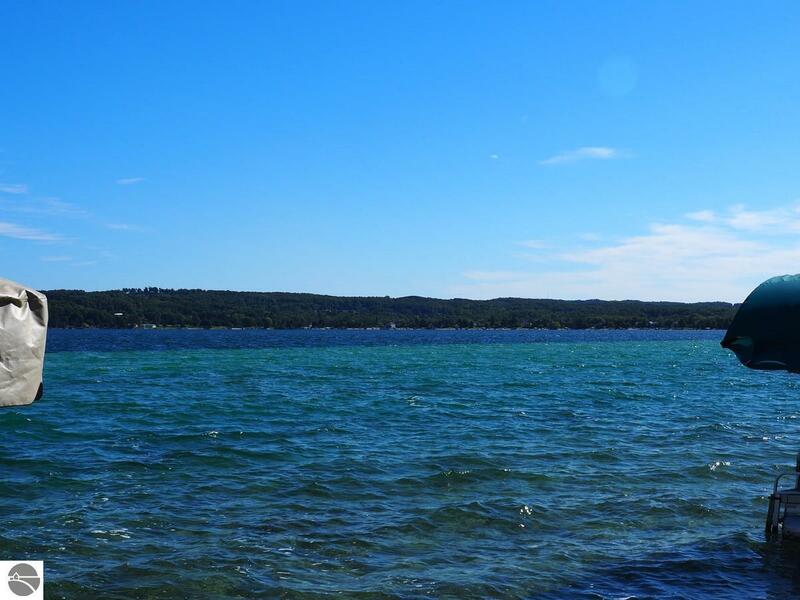 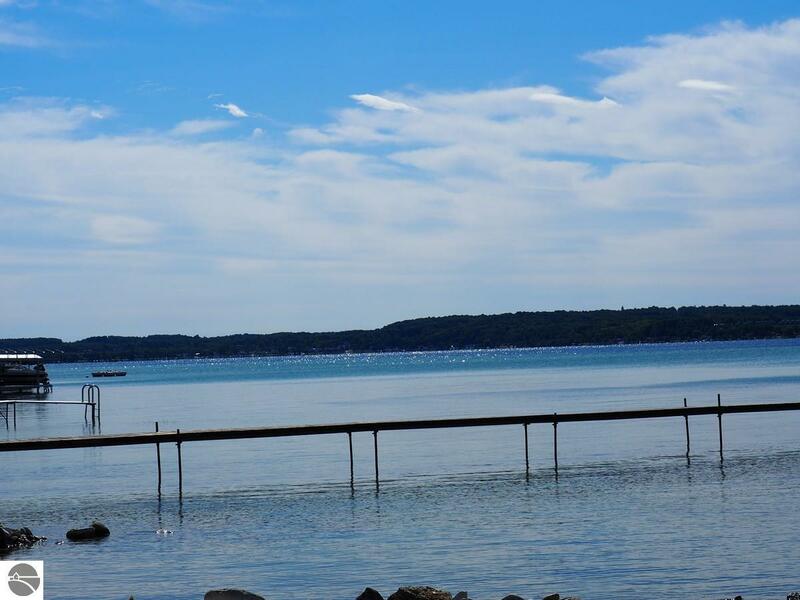 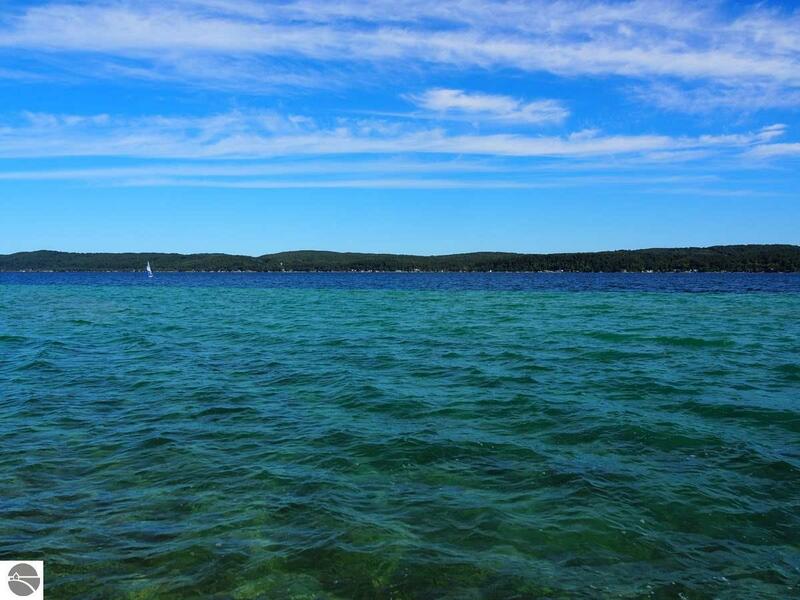 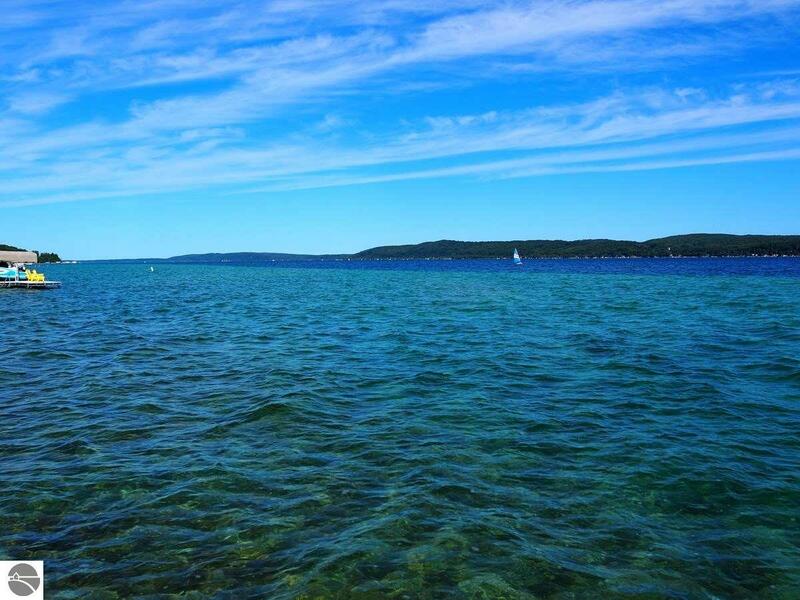 Quiet stretch of shoreline on the lake’s south side, yet an easy bike or stroll to Beulah, with Frankfort a short drive away. 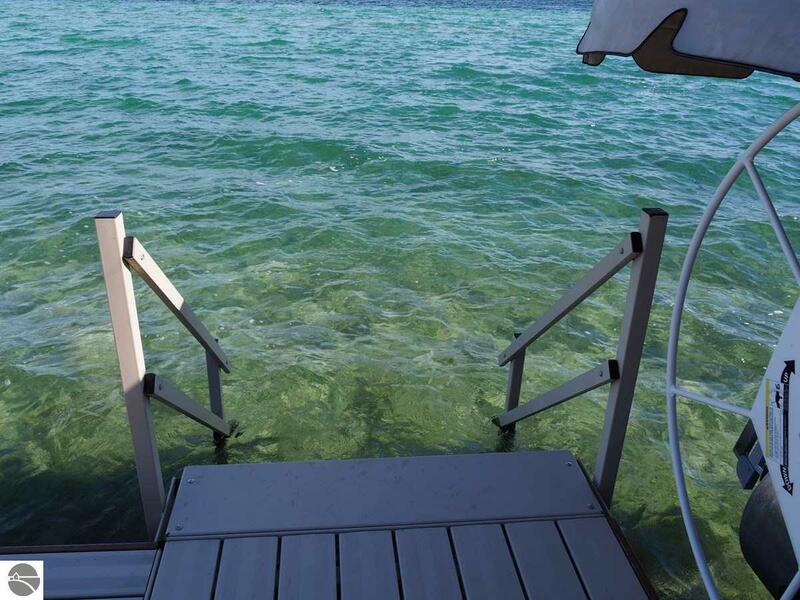 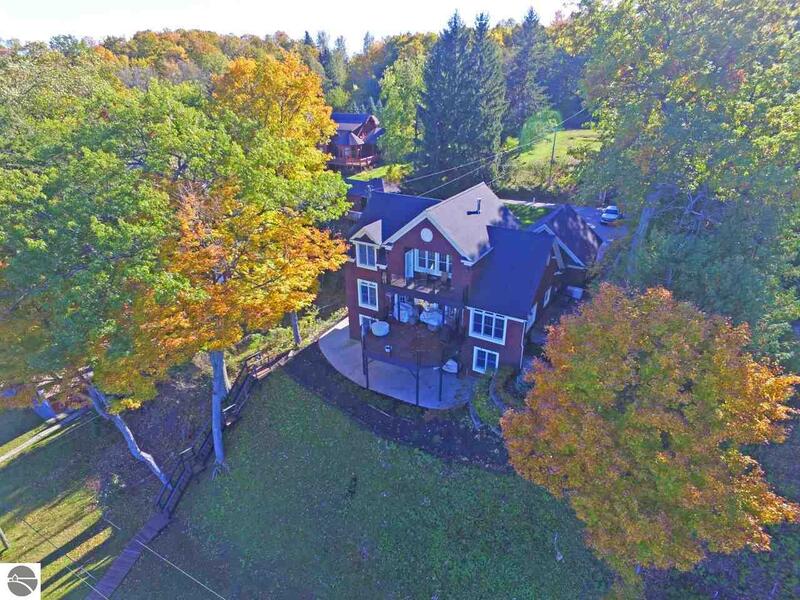 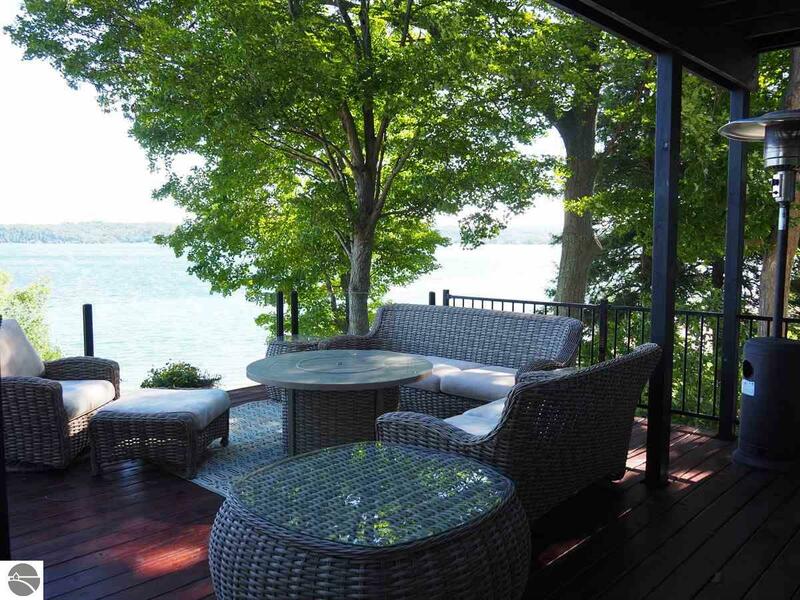 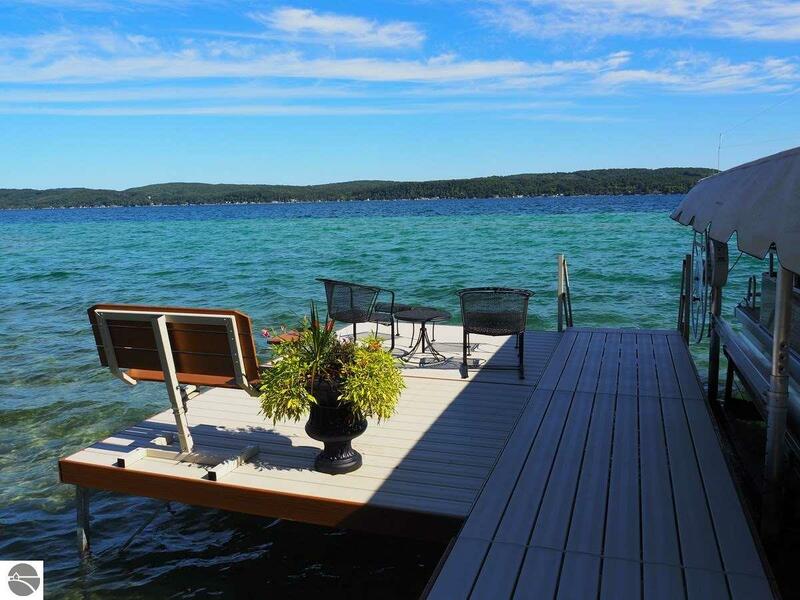 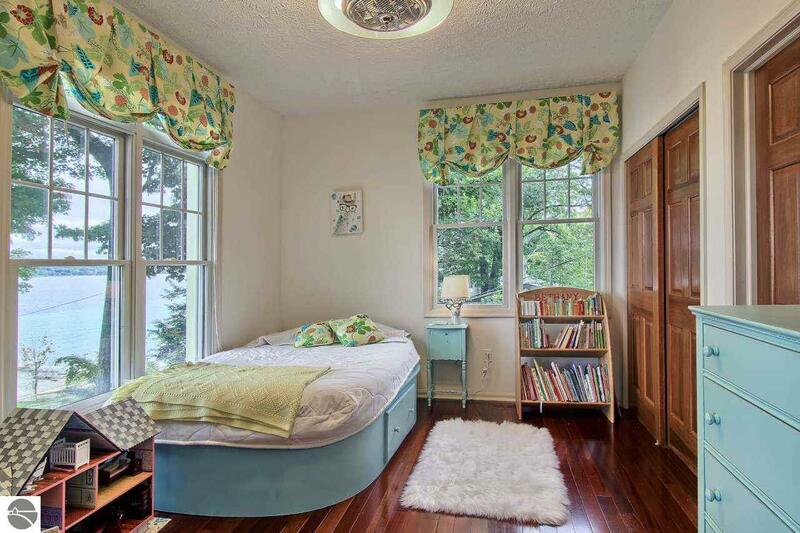 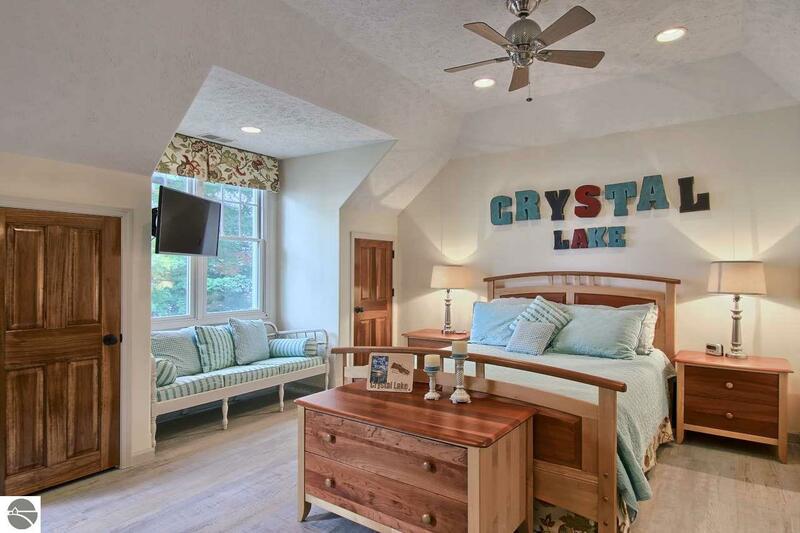 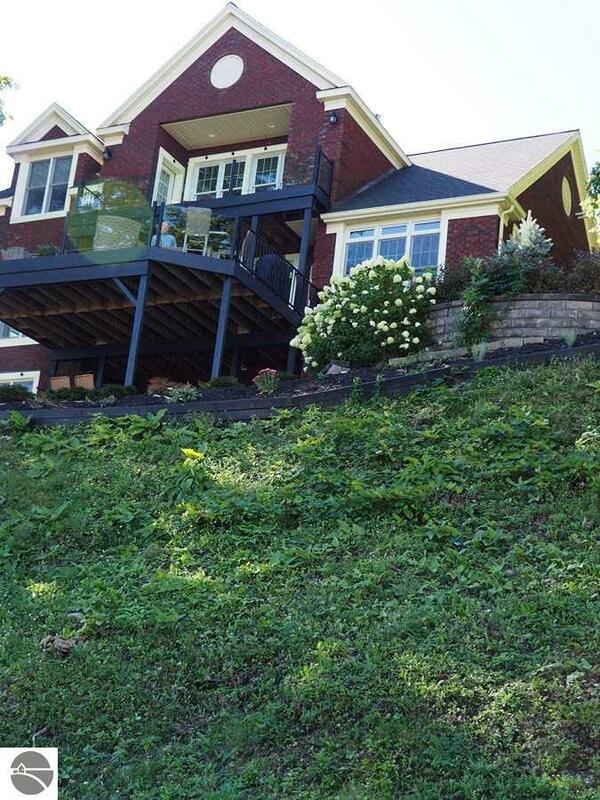 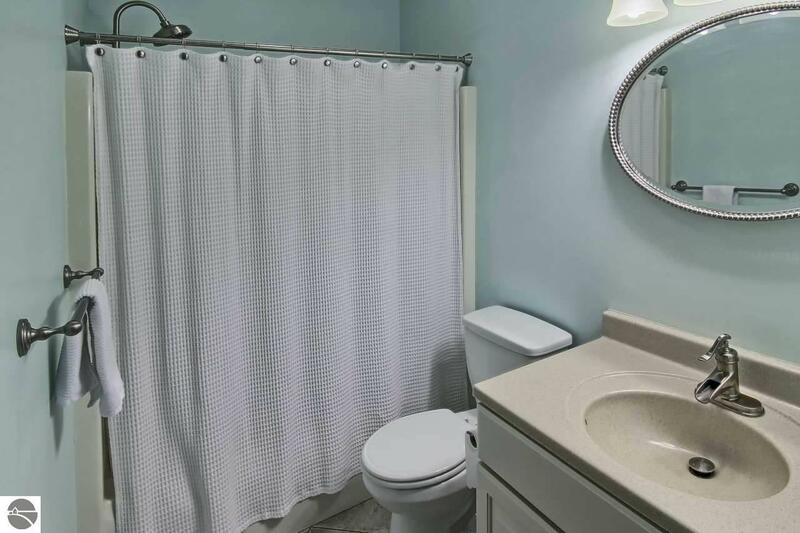 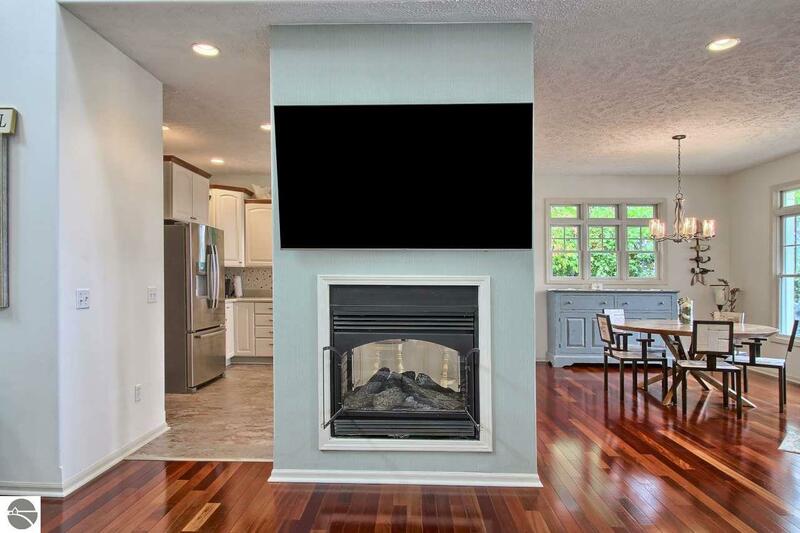 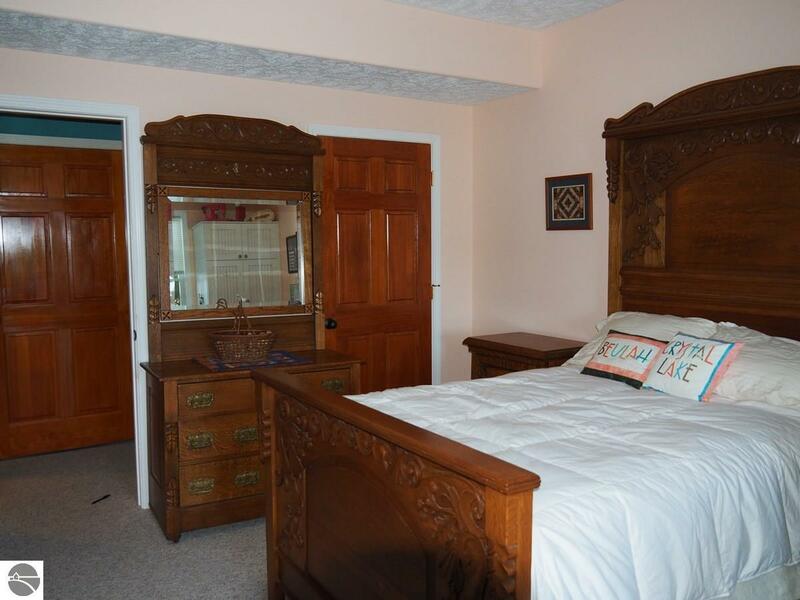 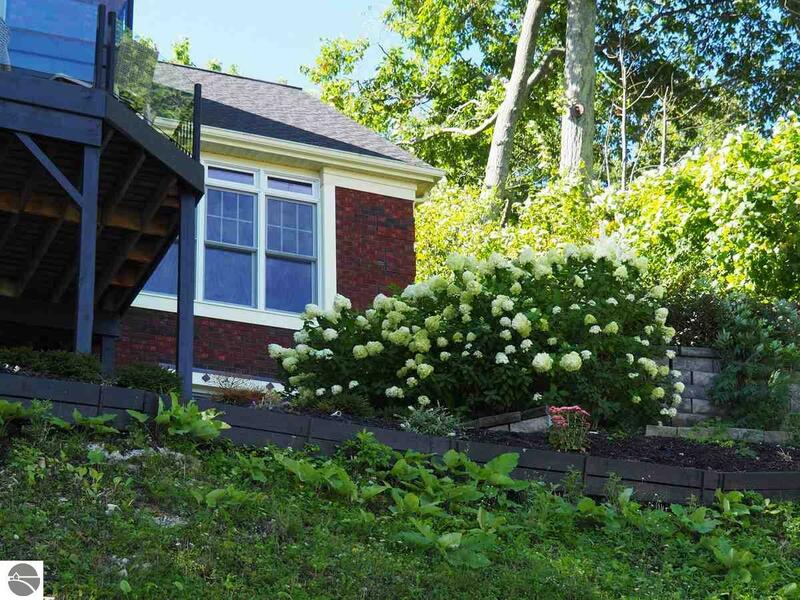 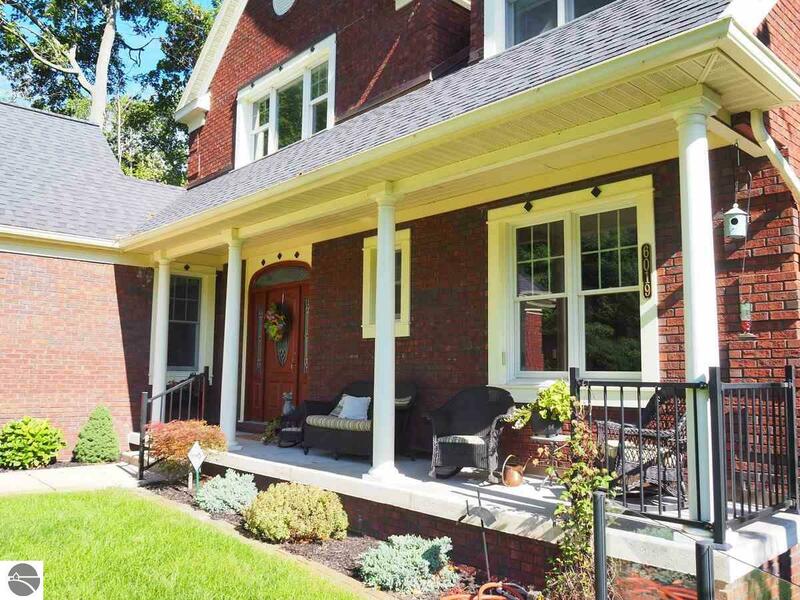 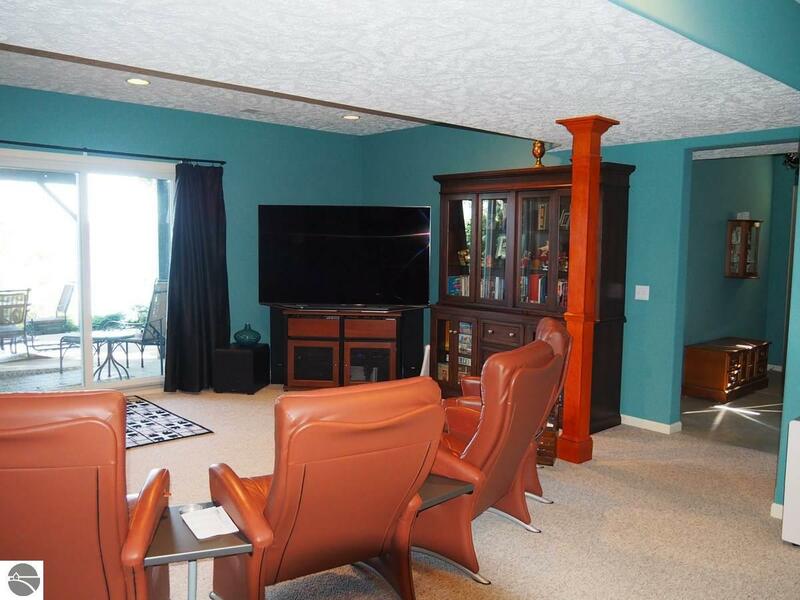 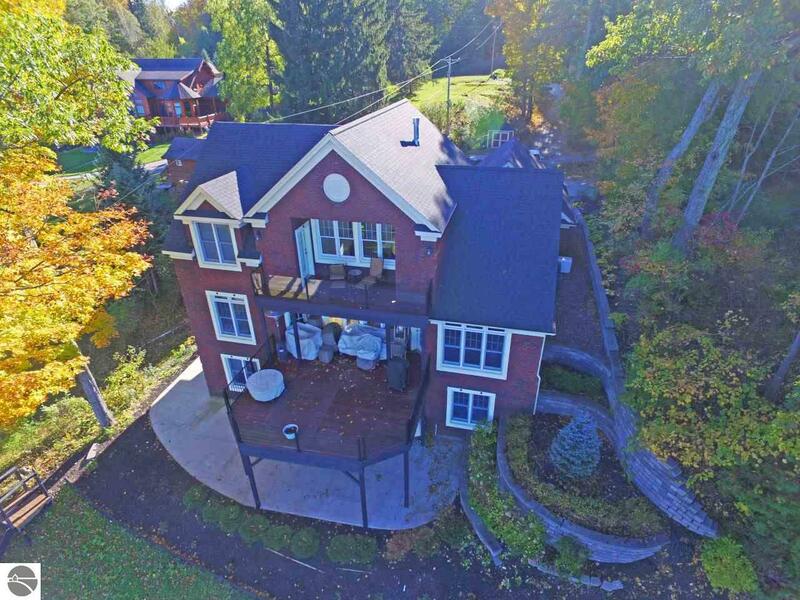 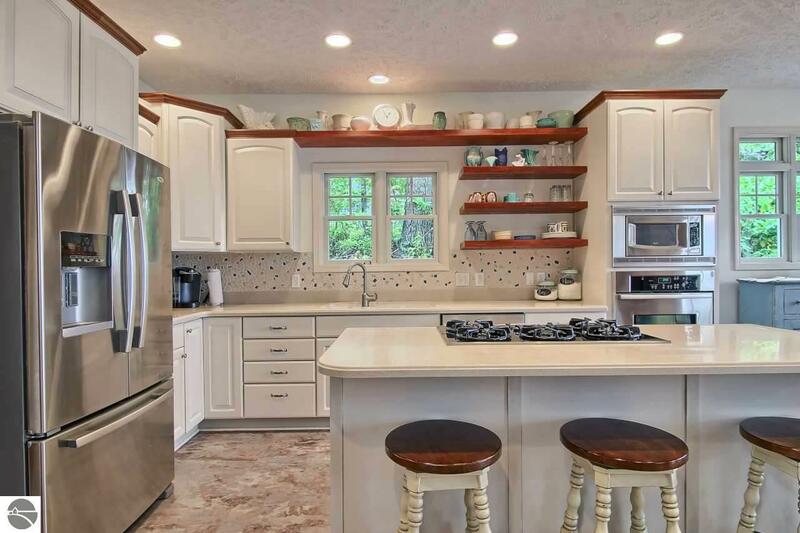 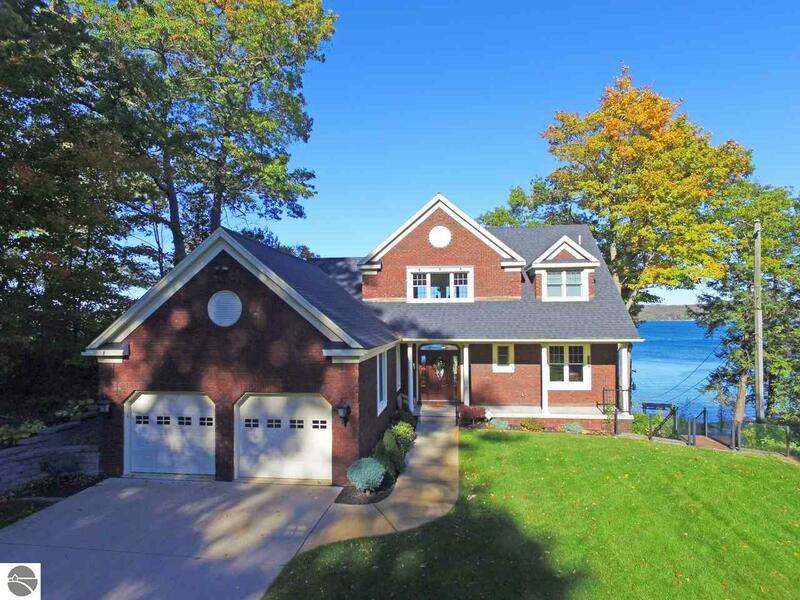 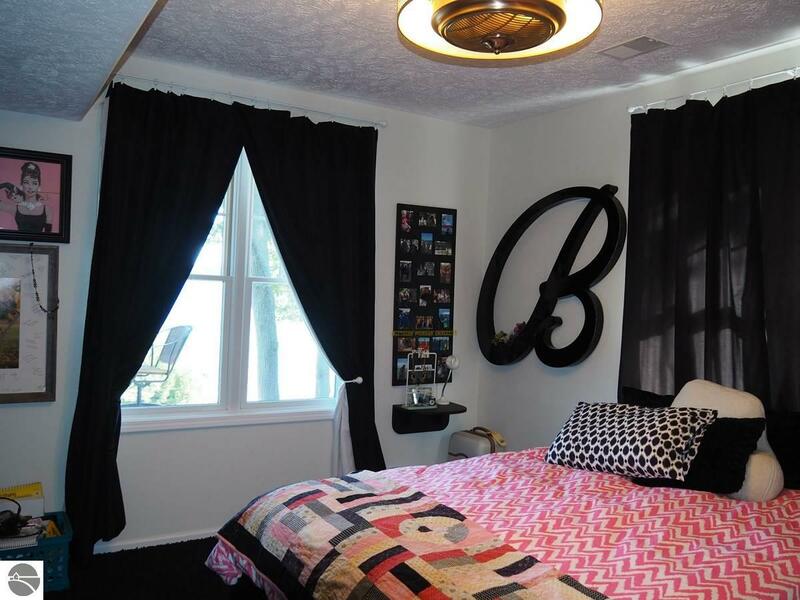 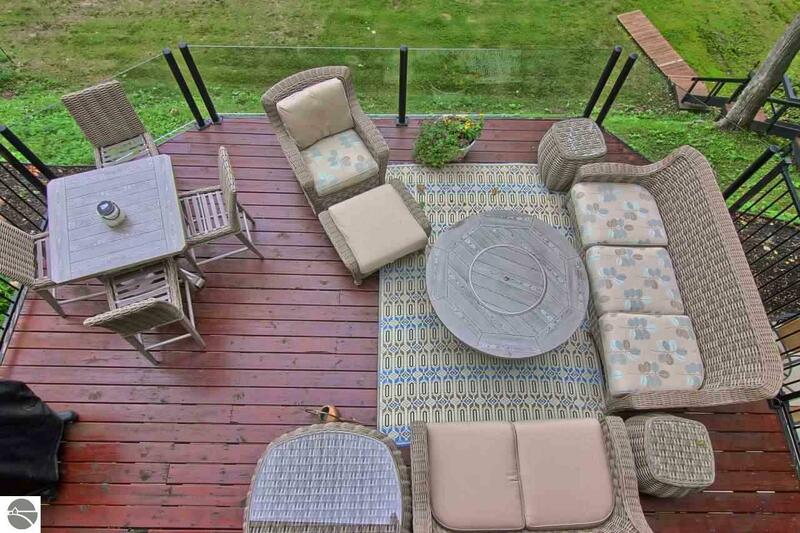 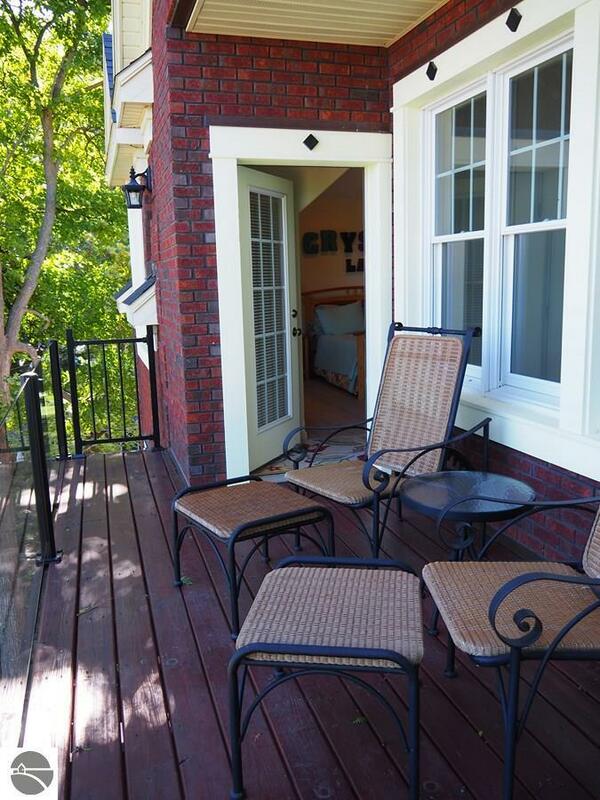 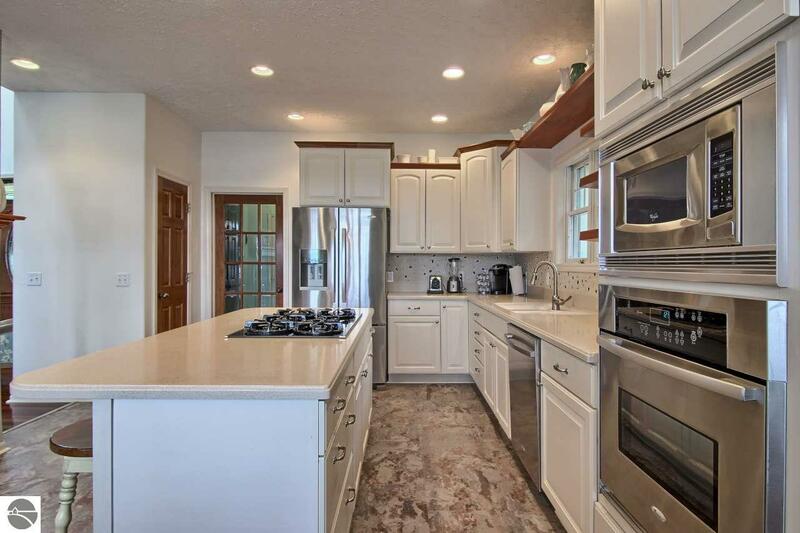 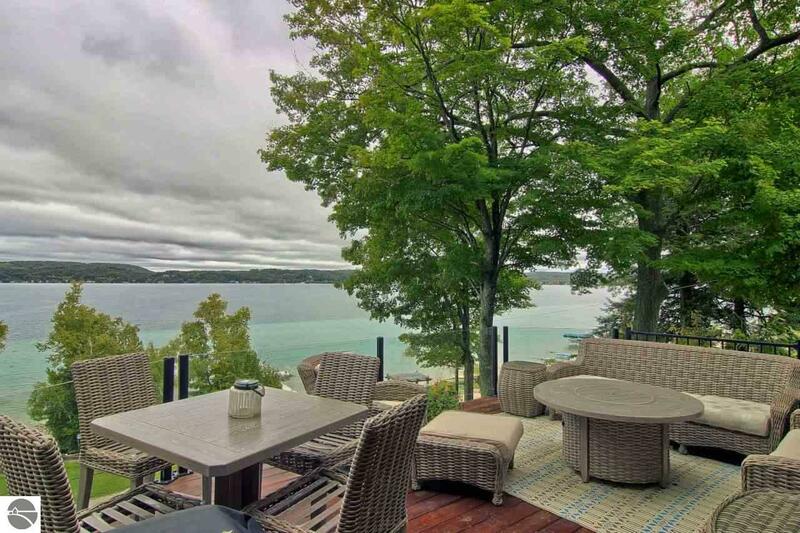 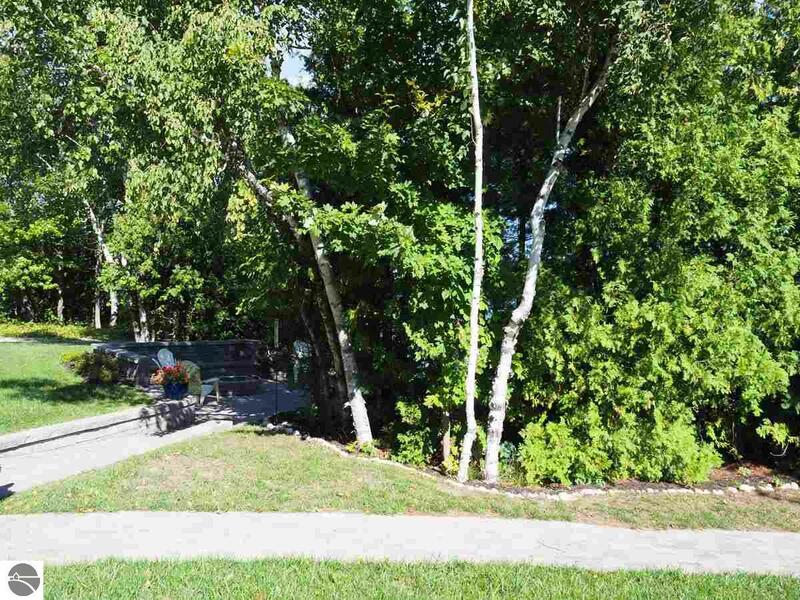 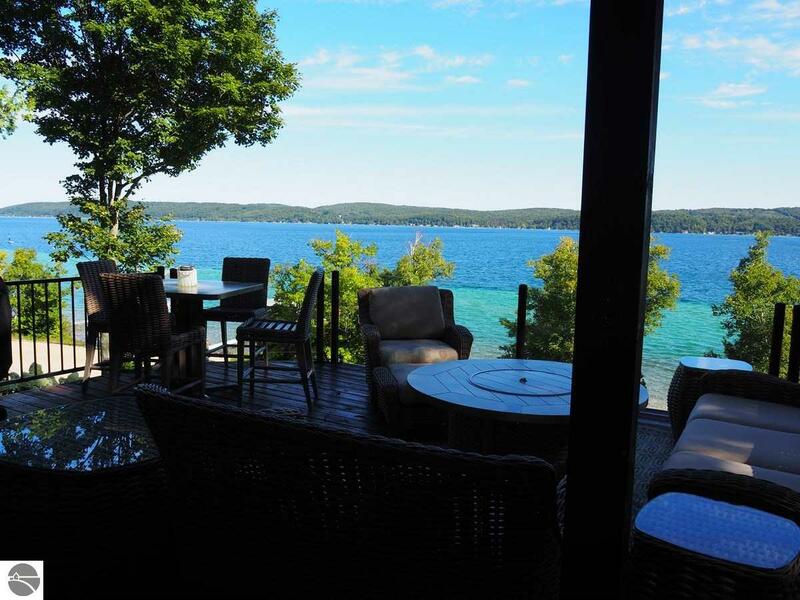 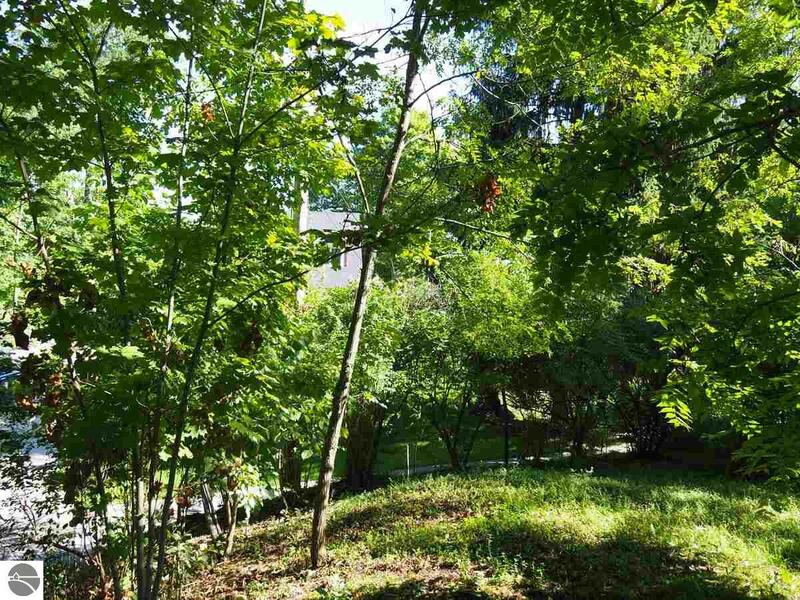 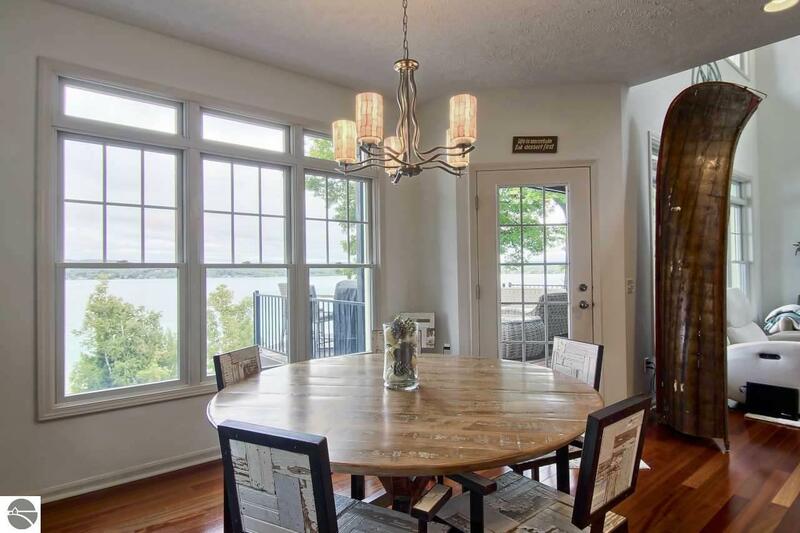 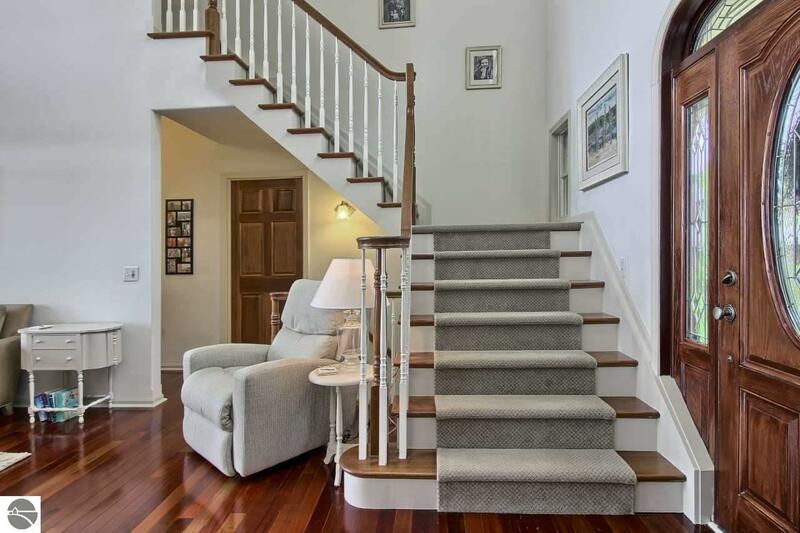 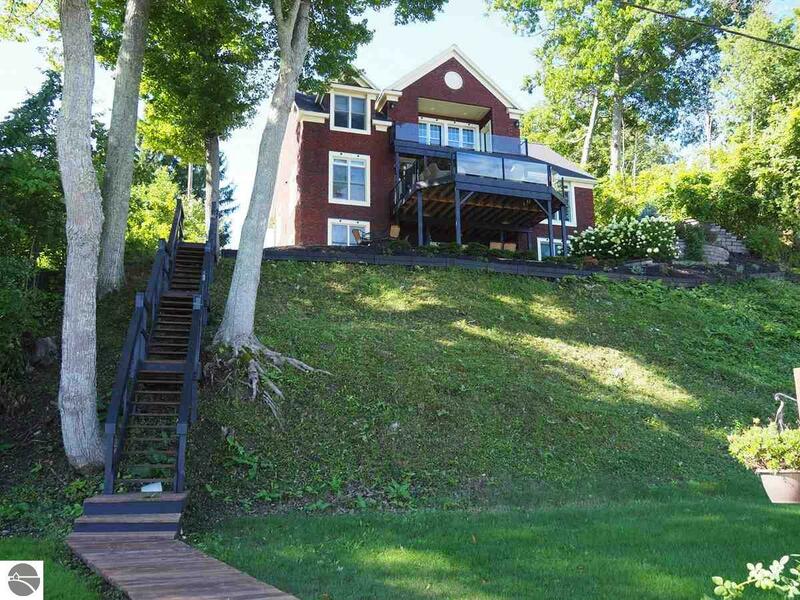 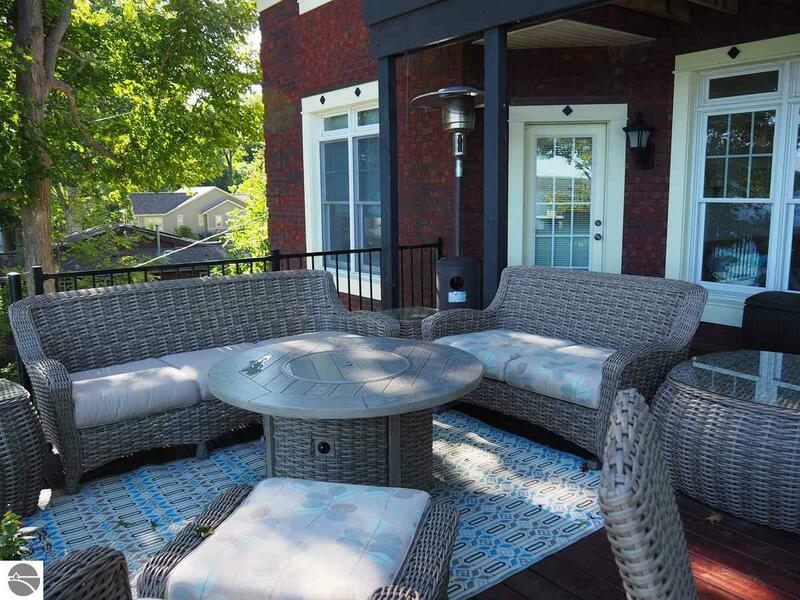 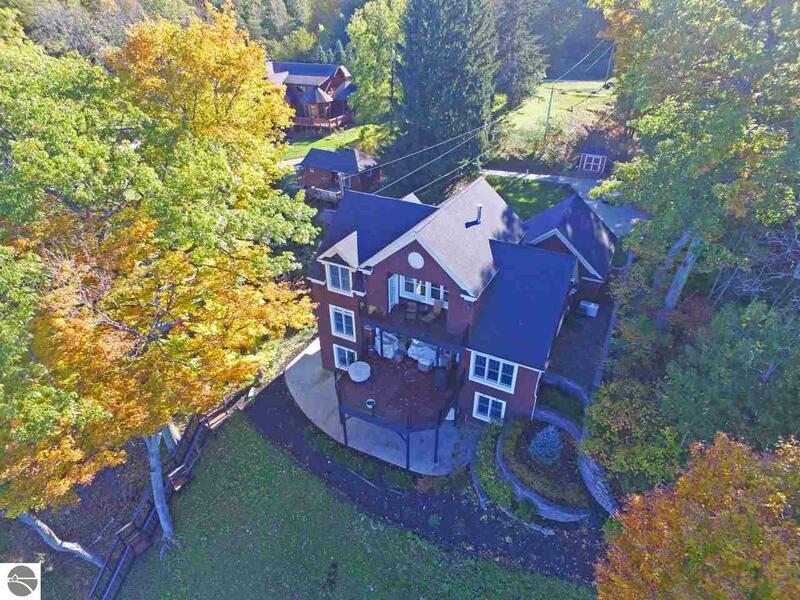 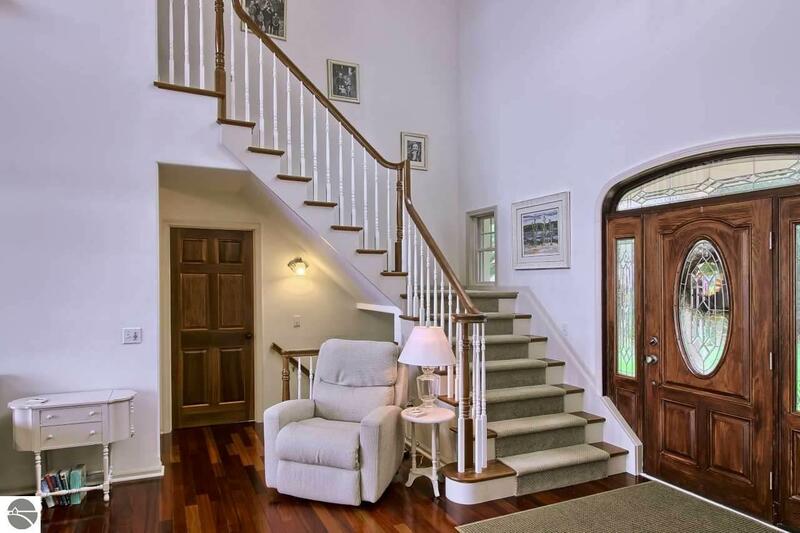 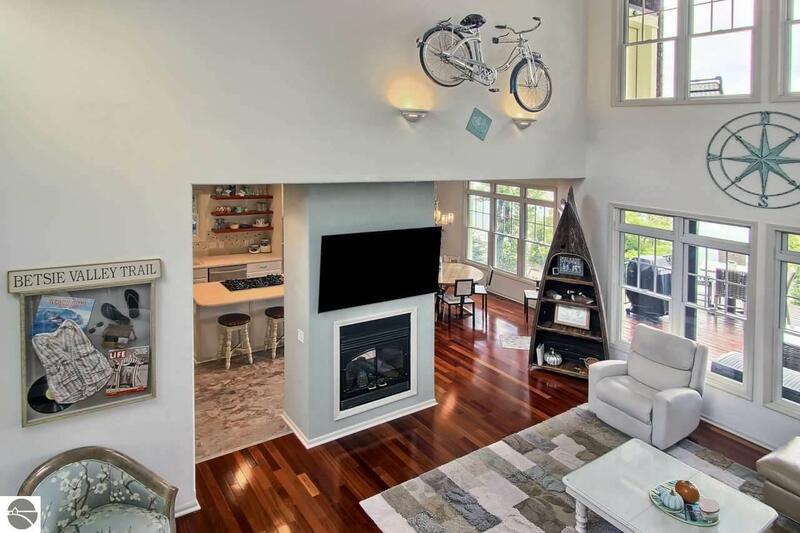 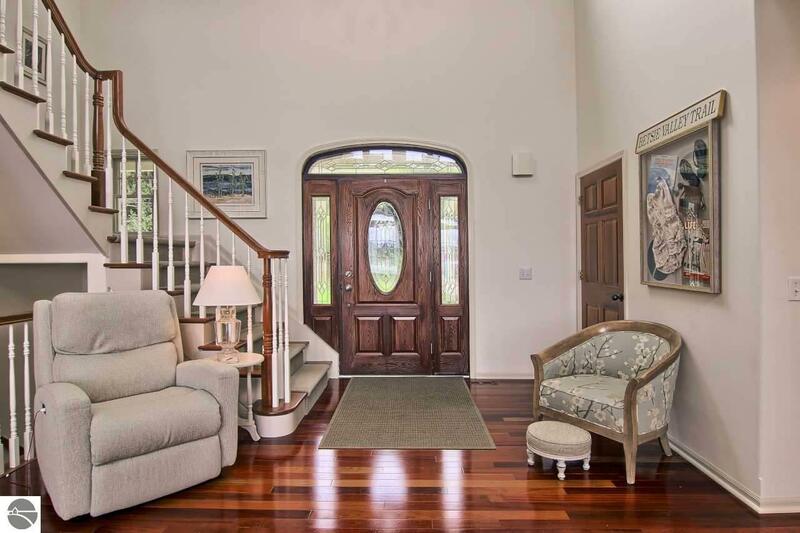 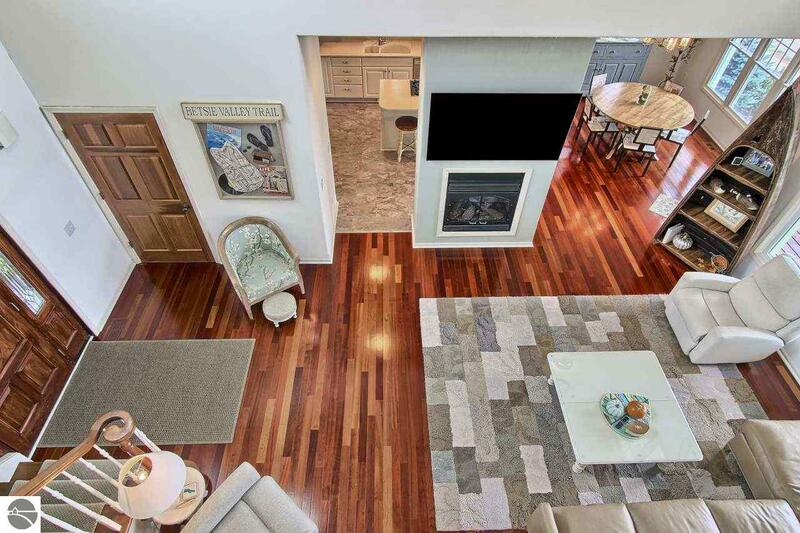 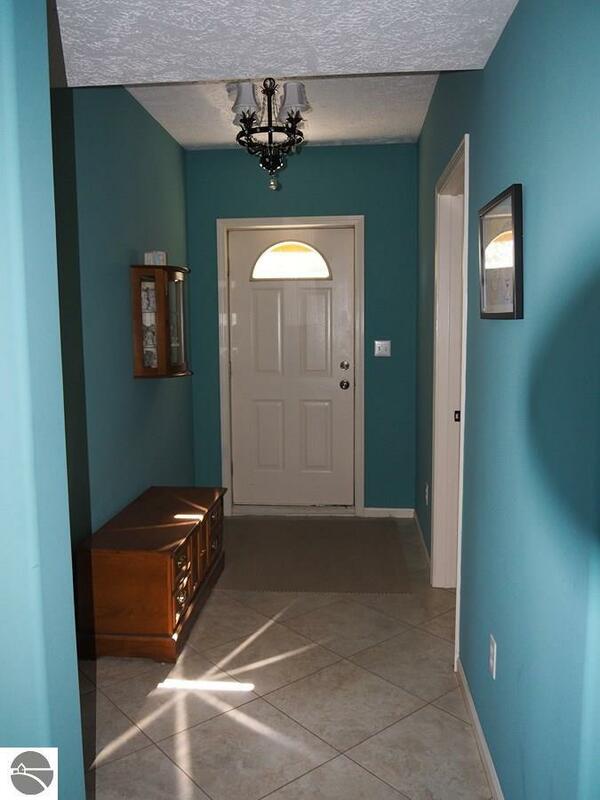 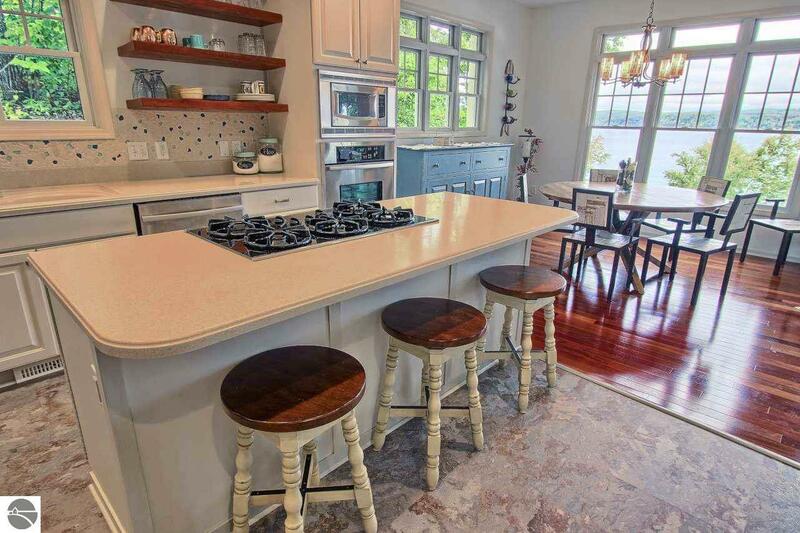 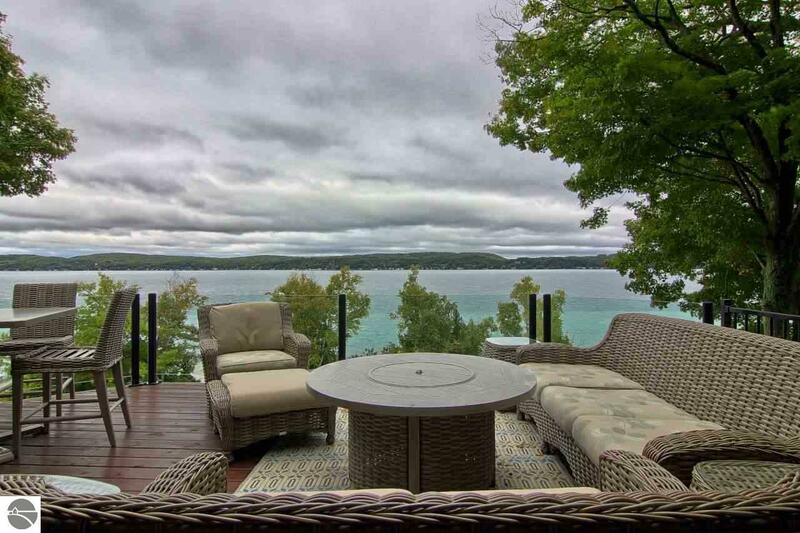 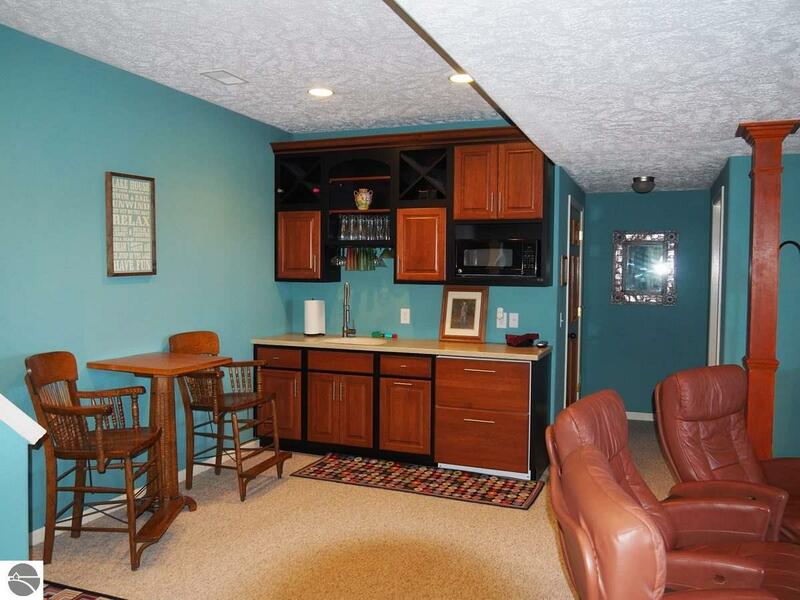 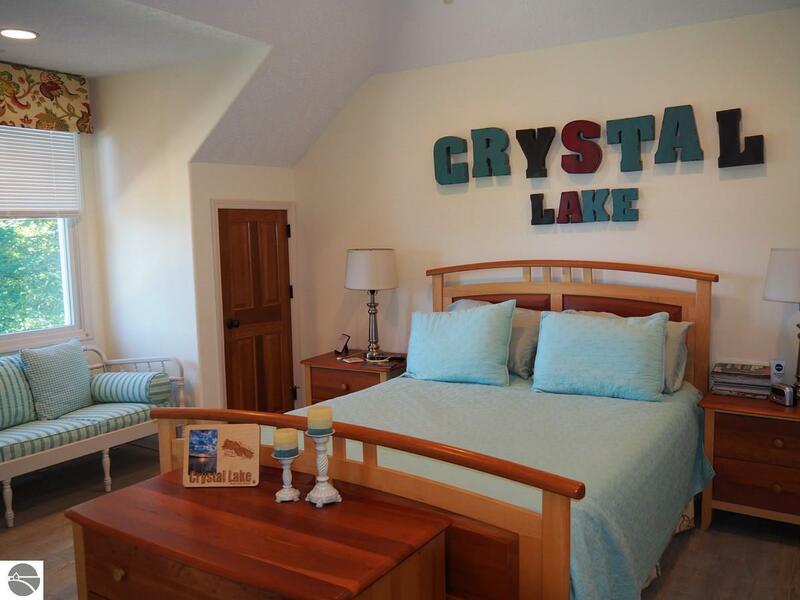 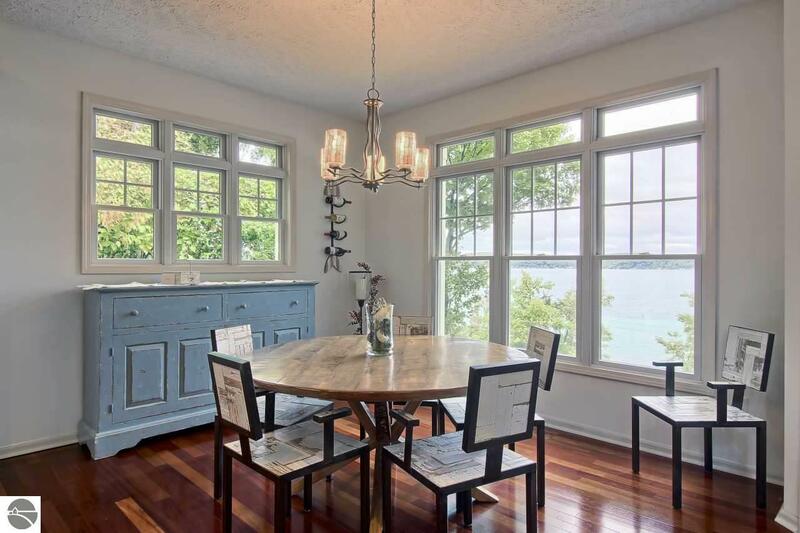 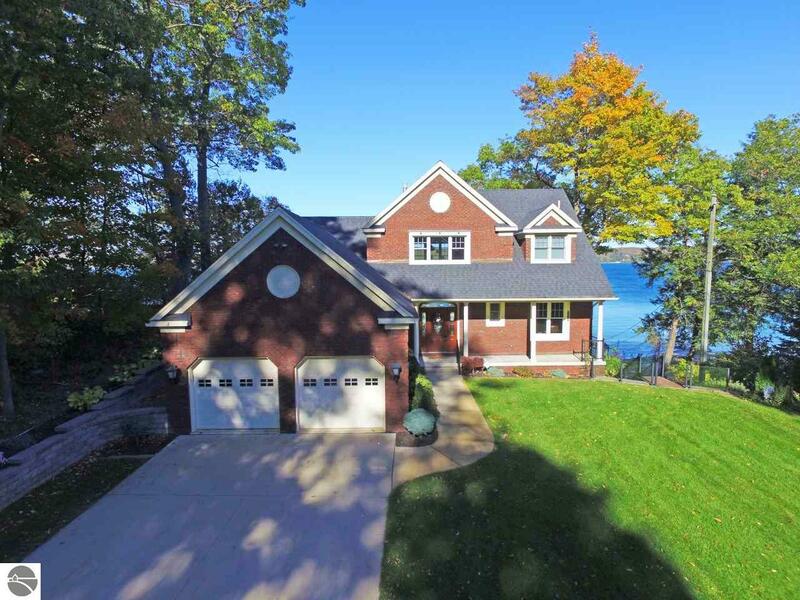 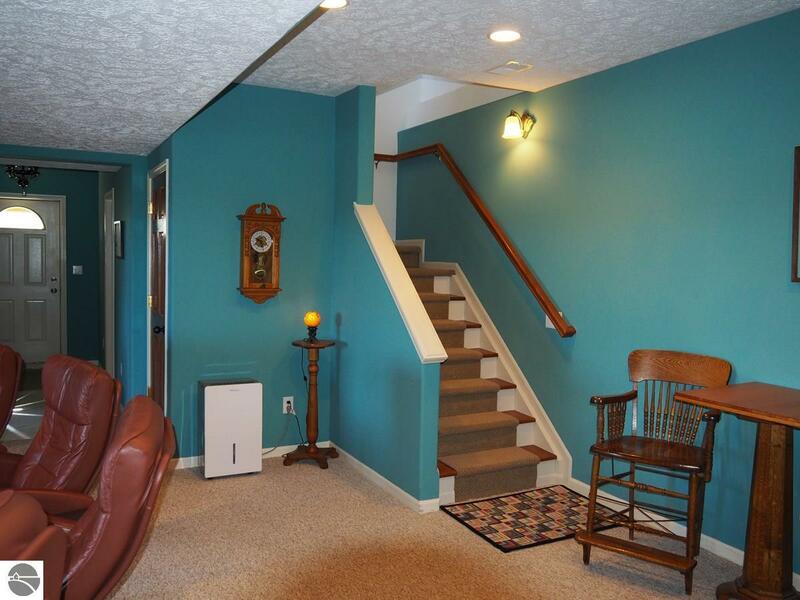 Three levels of lake views from the fully and tastefully remodeled 4+ bedroom, 3-bath home. 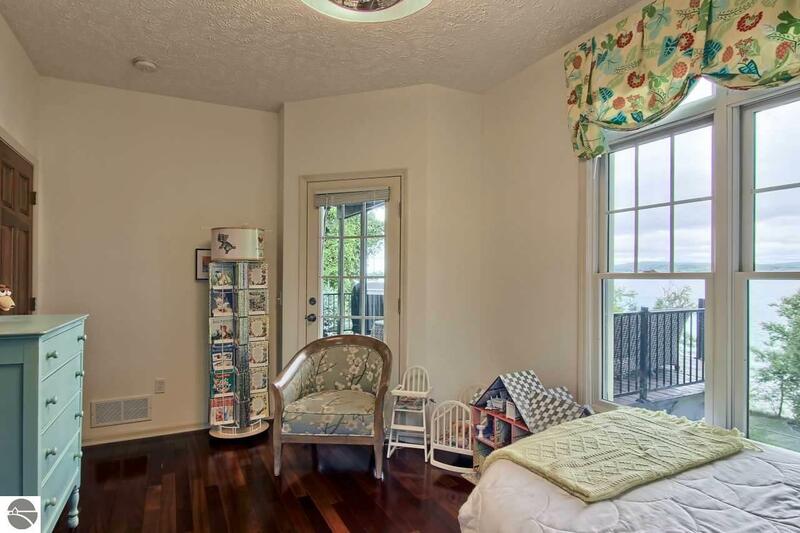 Upper master suite features soaking tub, walk-in closet and private deck for coffee and sunsets. 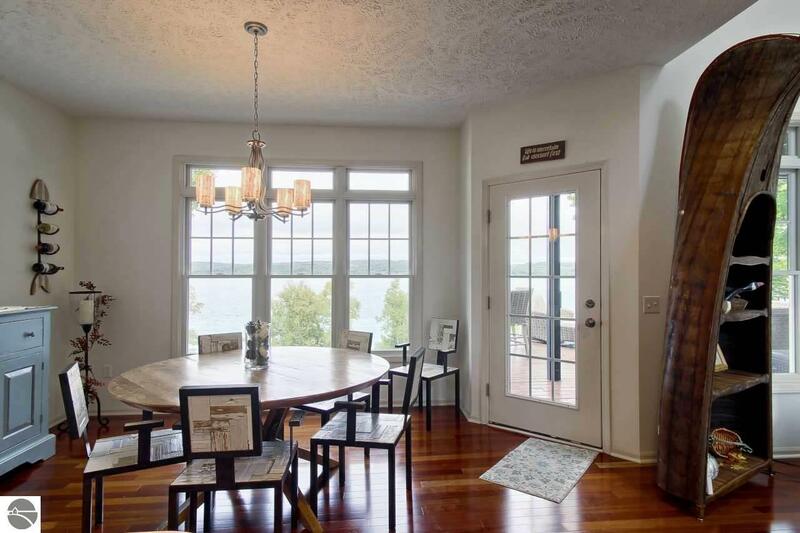 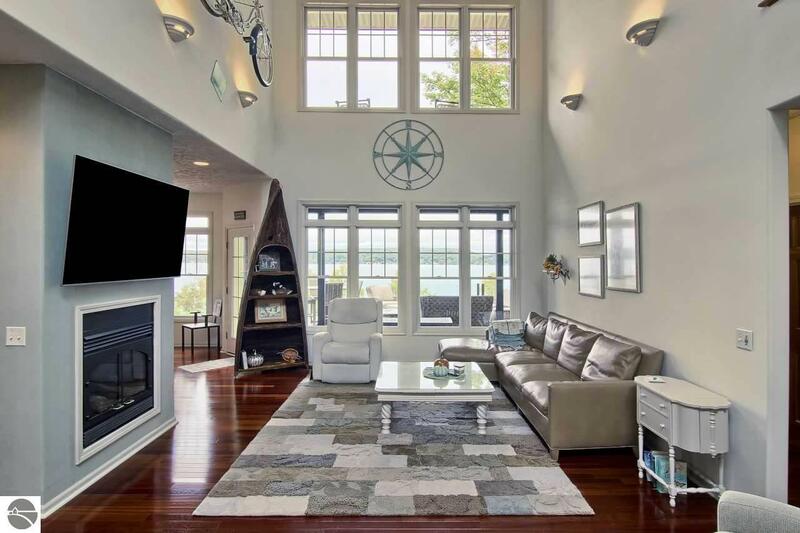 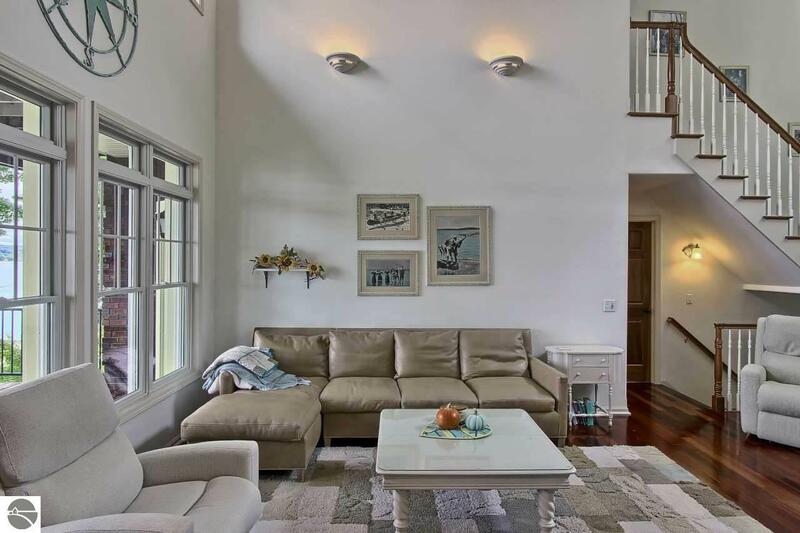 Light-filled main floor has vaulted ceilings, beautiful cherry-wood floors, multiple lake-view windows and access to raised, outdoor decks–with glass rails for the perfect water view. 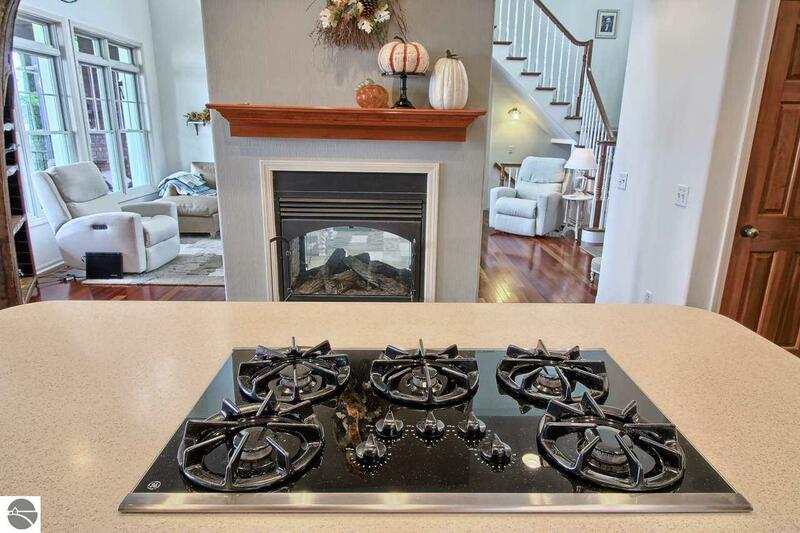 Make cozy conversation ‘round the living room’s gas fireplace while your cook cooks up a storm in the attractive, smartly-appointed kitchen, with sustainable cork floor, stainless appliances, custom cupboards, full-sized island and convenient pantry. 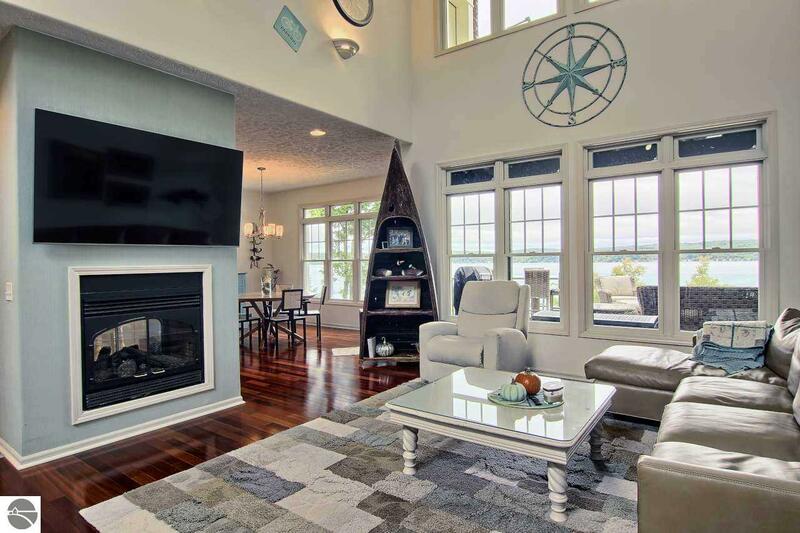 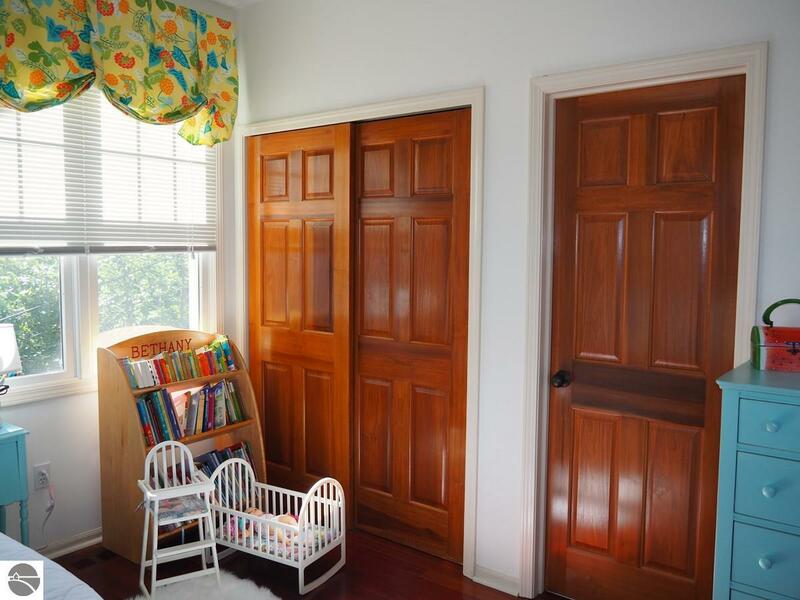 Room to recreate, read and give guests some privacy in the finished, lower-level family room with wet bar, two bedrooms and bath, and a walkout to the patio’s serene lake views. 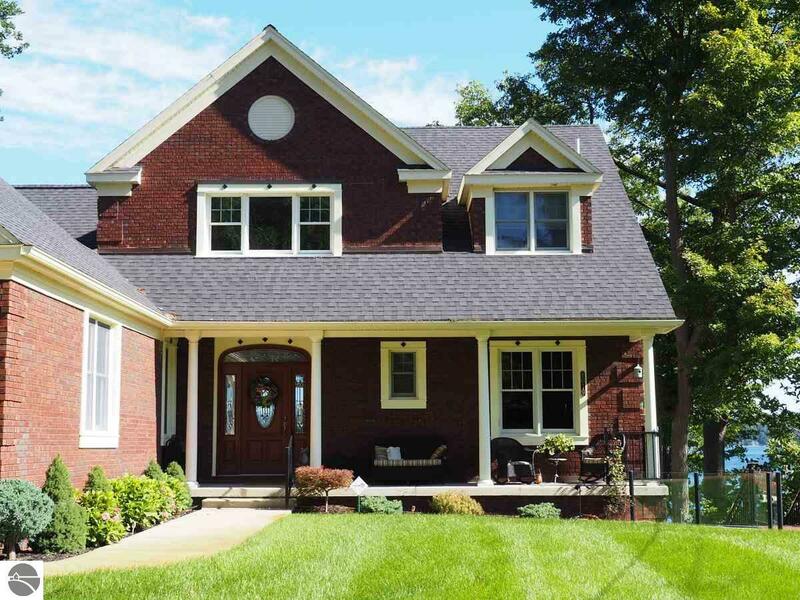 A whole-house generator supplies backup power for the unexpected. 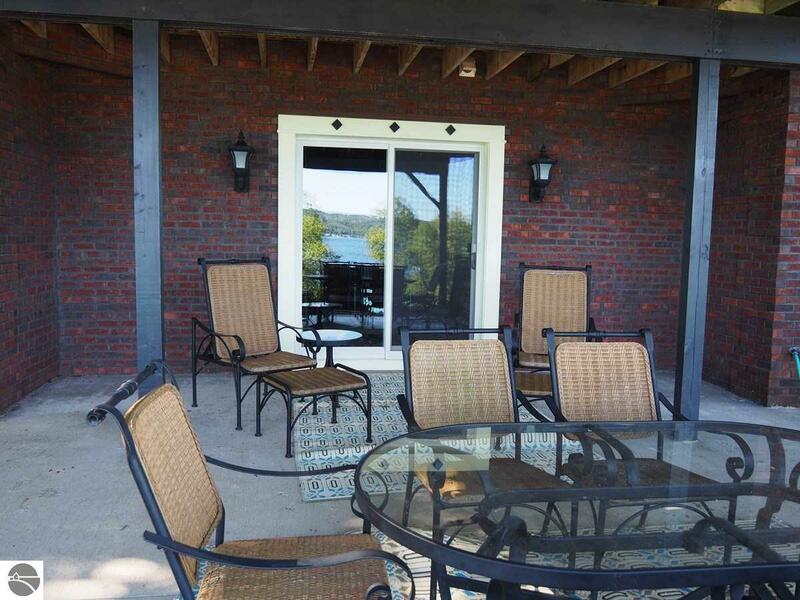 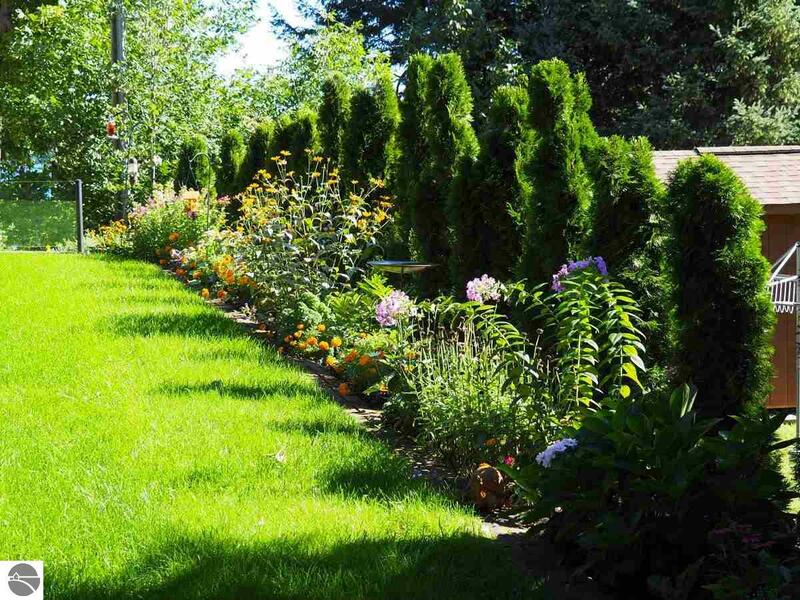 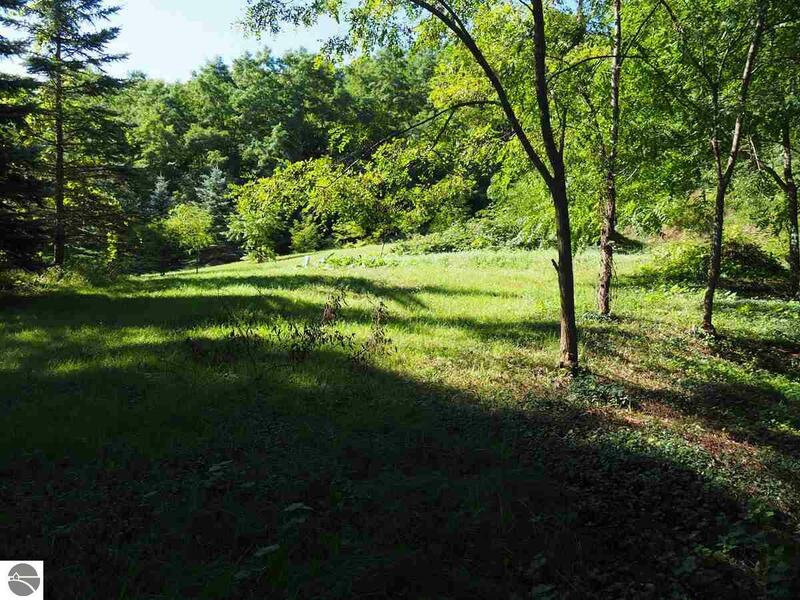 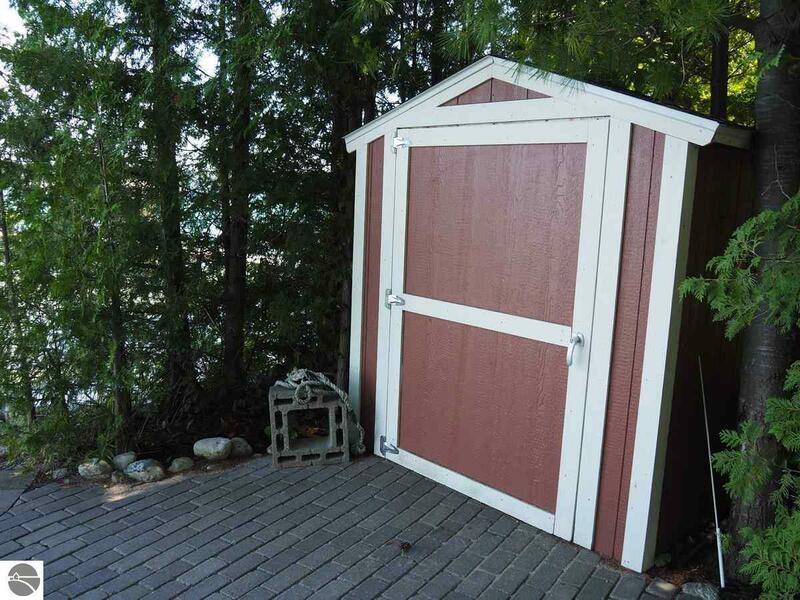 The grounds are landscaped and irrigated, with two patios and a firepit at the lake for waterside entertaining. 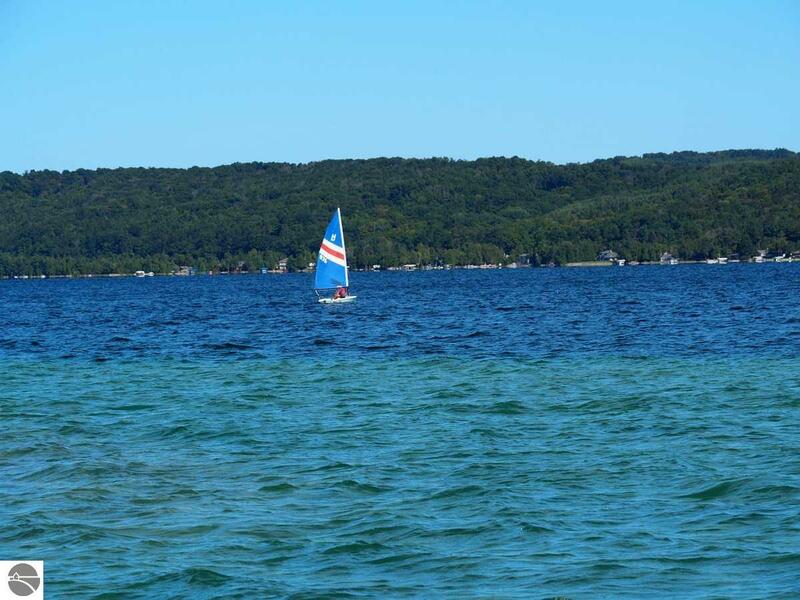 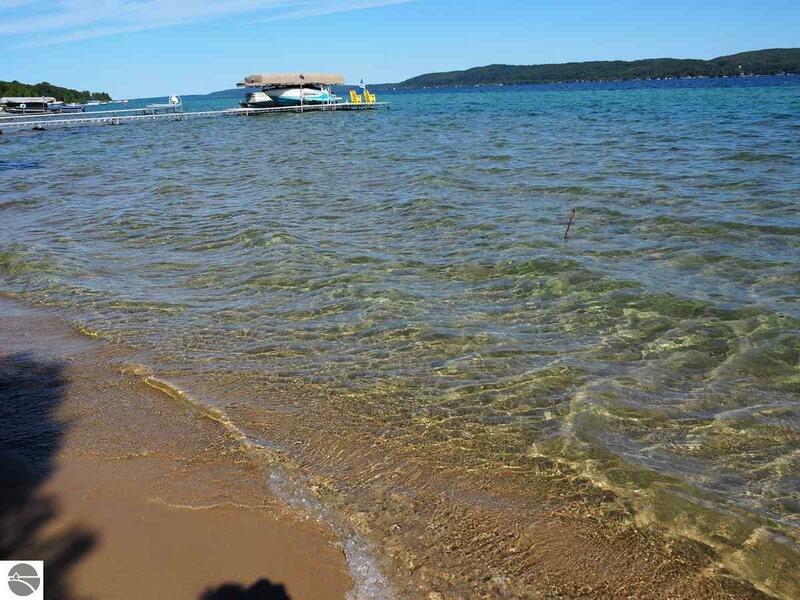 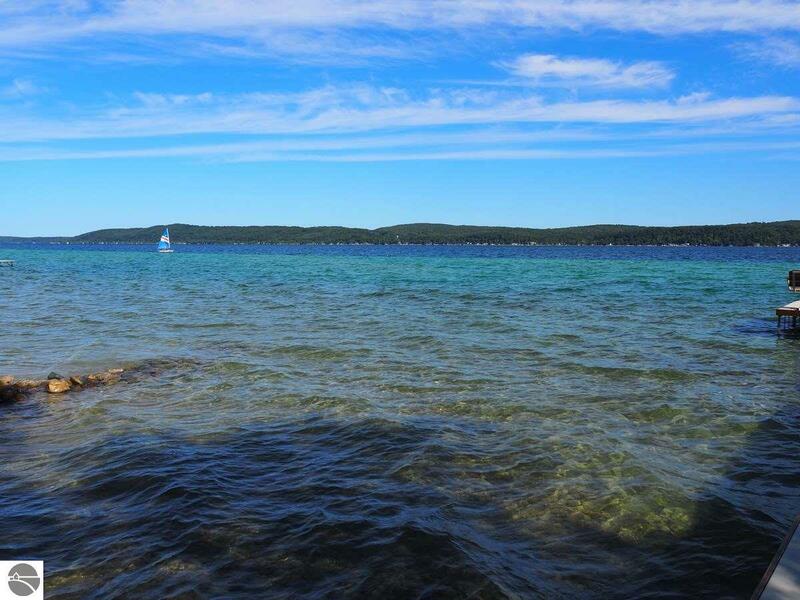 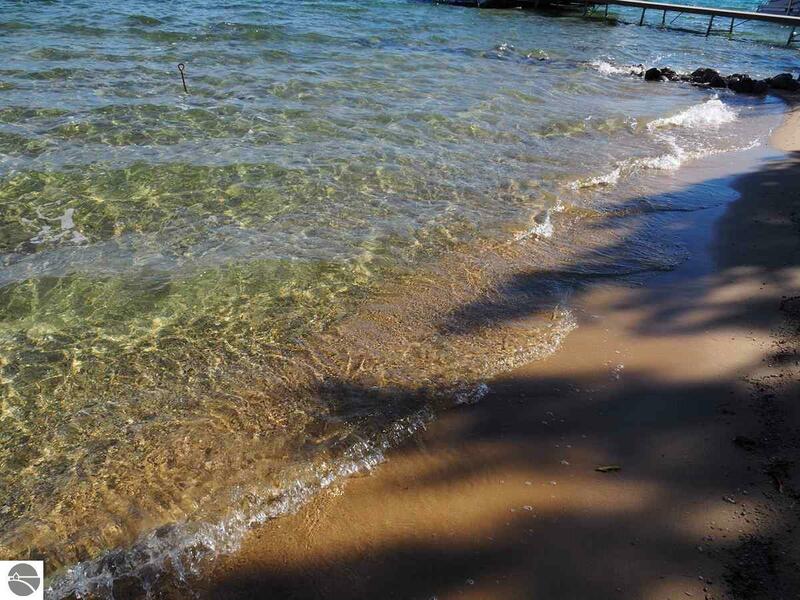 The sandy beach awaits your dock, boats and lake toys…and more outdoor fun is waiting for you at area golf courses, ski resorts and nearby bicycle trails.